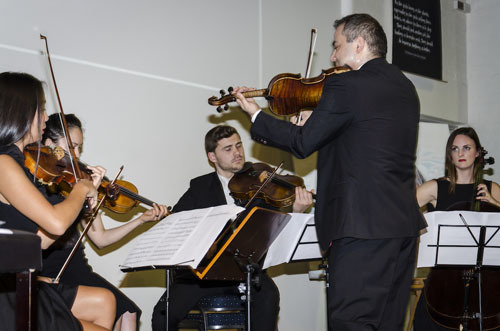 On Sunday 23rd August, residents of the inner north were treated to a magical eveningof music with world class violinist Mohamad Hamami, with all proceeds from ticket sales going to support the work of Melbourne based charity One Girl as part of their 2015 ‘Do it in a Dress’ fundraising campaign. The ‘Do it in a Dress’ campaign involves participants picking any challenge they like and performing it while wearing a dress. It costs around $300 a year to send a girl to school, which covers her tuition, uniform, books and stationary, and scholarships last for the lifetime of a girl’s schooling. 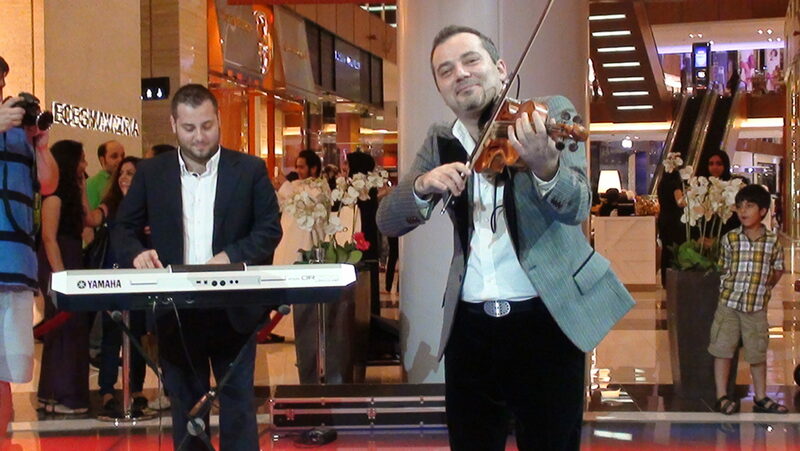 Mohamad was accompanied on stage by musicians from Stringspace,. 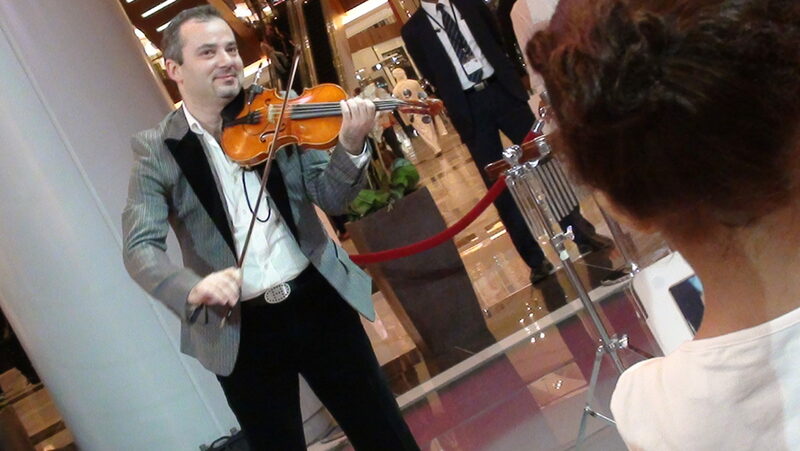 Guests were enthralled by their beautiful playing and captivated by Mohamad’s incredible musical style. The event was held at 75 Reid Street in North Fitzroy and complimentary wine and nibbles were included in the ticket price. This was made possible by generous donations from Brown Brothers Winery, Tassal Tasmanian Salmon and El Colmado, who provided sparkling wine, smoked salmon and Spanish gourmet cheeses. 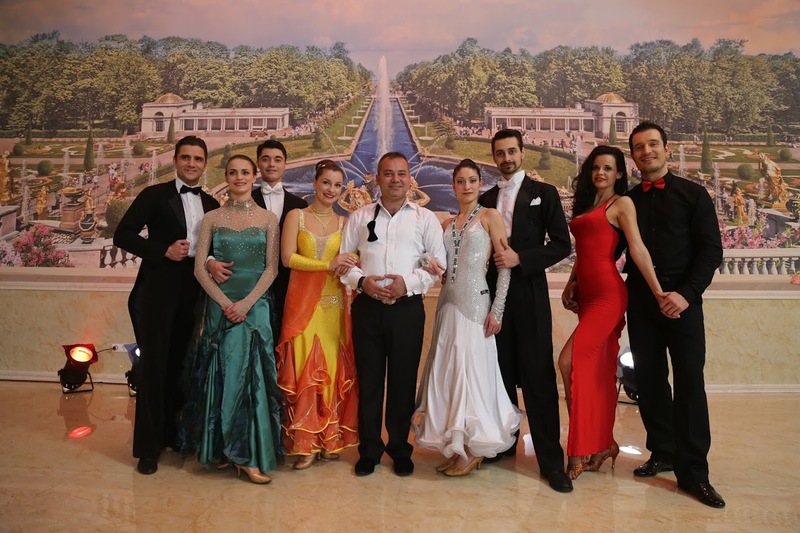 The ambassadors and performers celebrate a successful event and prepare for the next round of fundraising! 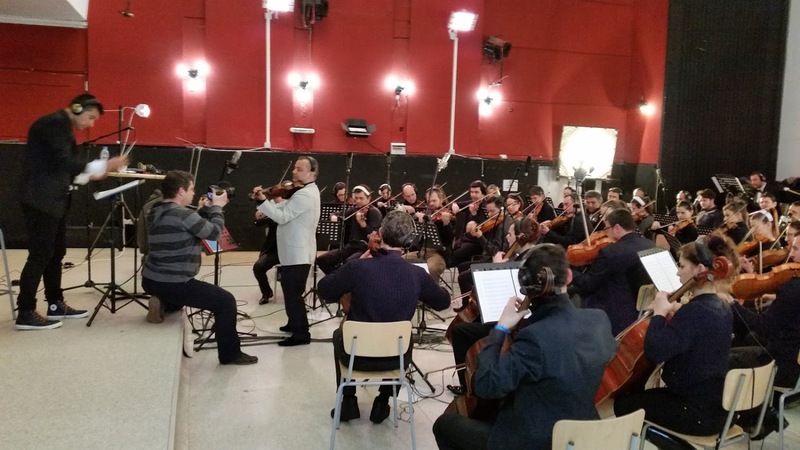 Mohamad was in Sofia for 48 hours over the cold snowy February where he recorded 5 tracks for his upcoming album “World Citizen” with Sofia philharmonic Orchestra in Radio Sofia Studio. 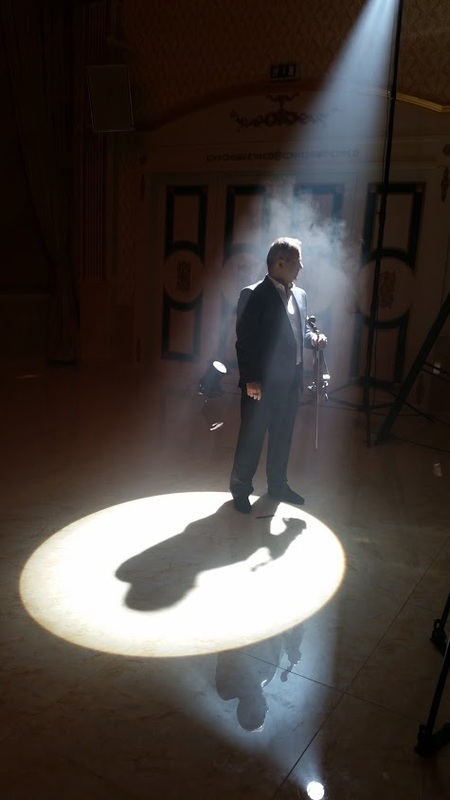 After the studio recording Mohamad headed up to the Luxury Montecito Hotel to work with the Director Ani Stefanova to wrap up filming on his latest music videos. Both videos and Album are planned to be lunched in the spring of 2016; the Album comes in Volume I first, and total of 12 tracks. 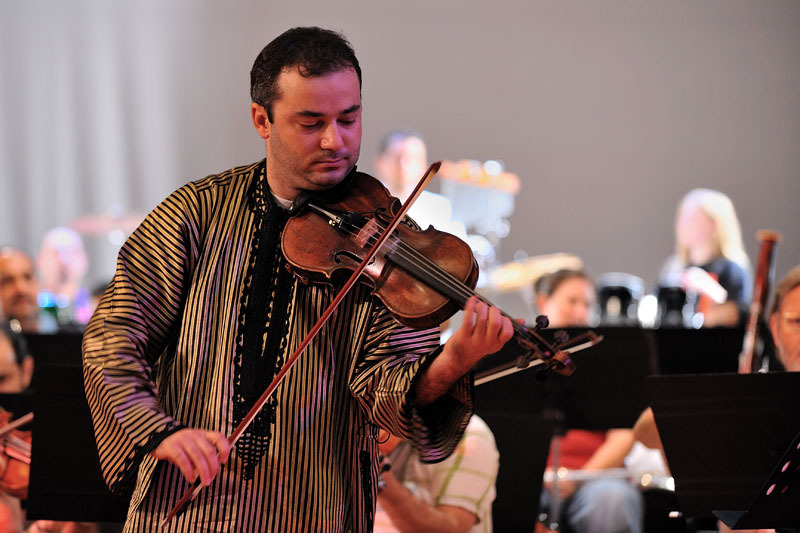 A new musical journey that Mohamad started few years ago, touring and exploring the WORLD OF MUSIC in different parts of the world, from far East to the Americas, meeting with different composers and introduced to other music genres, some of the new tracks were composed for him exclusively. More News to come ... stay tunned. 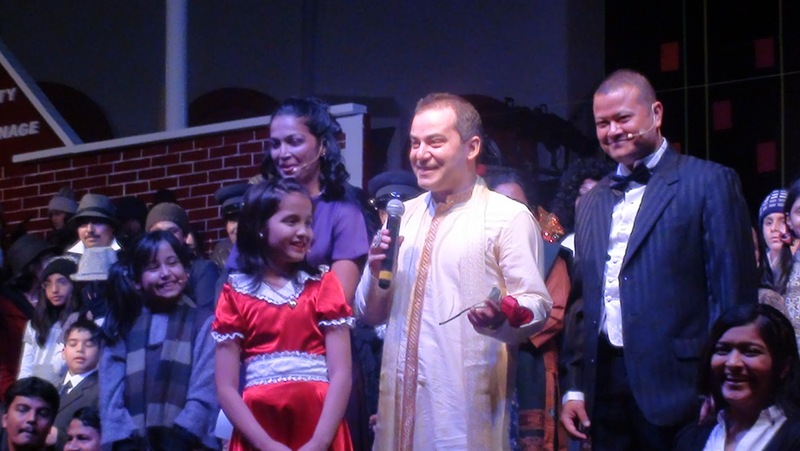 It was a proud moment for ‘The Kindergarten Starters at Dubai’ as it hosted the 20th Inter-Junior School Musical Festival on Friday, 14th of December, 2012. 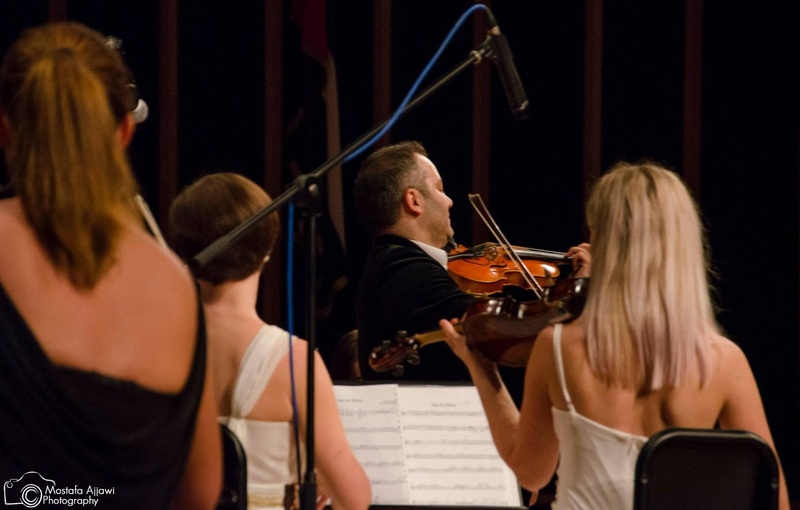 The theme for this year’s Music Festival being ‘Broadway Glitz’, the young and enthusiastic troupes left no stone unturned to live up to the expectations required of Broadway performers. 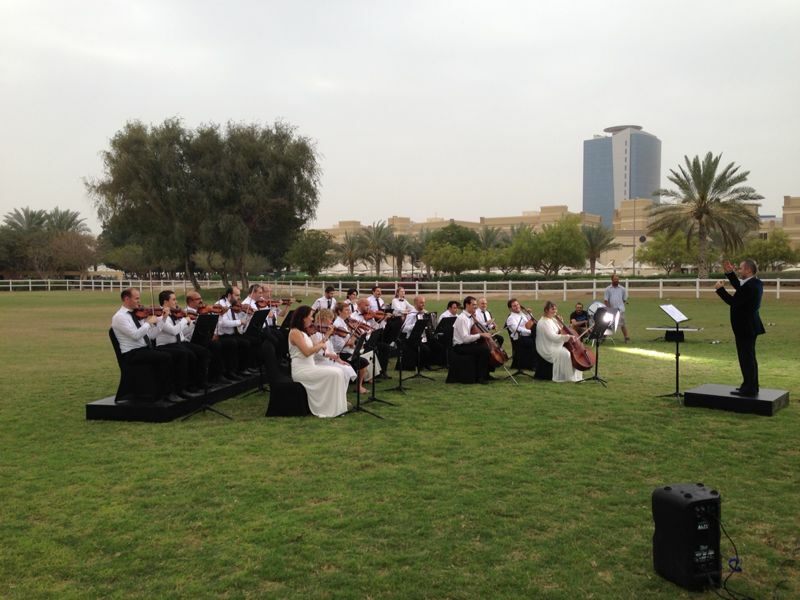 Several Schools from different emirates participated in this prestigious event, the only one of its kind in Dubai. The Principal and CEO, Mrs. Asha Alexander welcomed the gathering. The Chief Guest Ms. Kajari Biswas, Consul Press, Information and Culture, presided over the function and appreciated the vocal skills of the performers, their poise and confidence in their creative expressions of choral music. 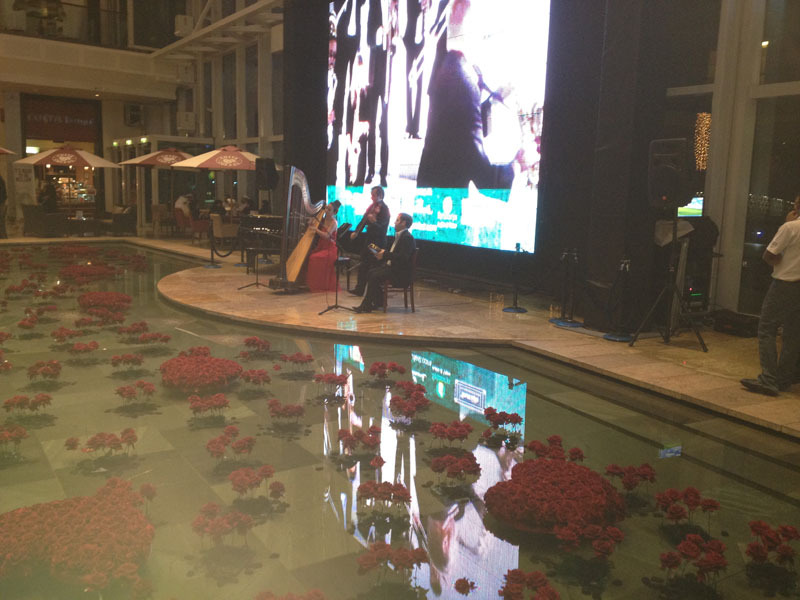 The performers showed immense musical aptitude under the guidance of their music teachers and demonstrated synchronized performances. 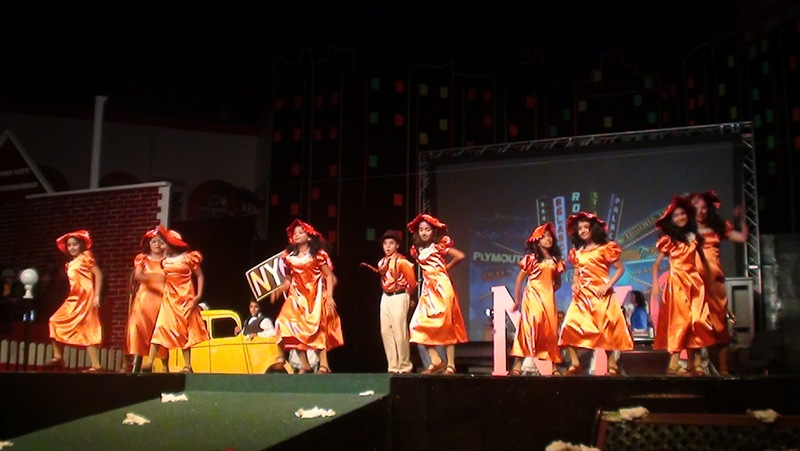 The little stars with their majestic costumes against the grand Broadway backdrop added the extra sparkle to the event. 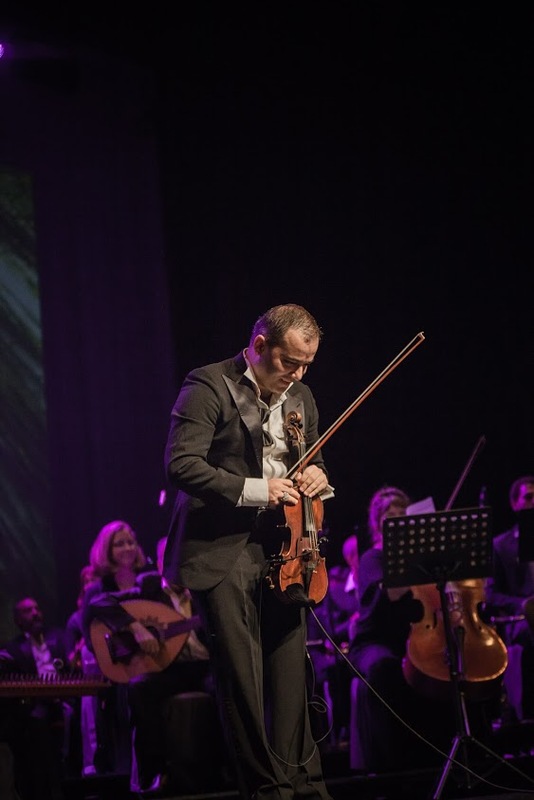 The whole atmosphere was reverberating with foot tapping musical hits such as the Lion King, Cats, Mamma Mia, Tarzan, the Wizard of Oz, Aladdin, Chitti Chitti Bang Bang and others. 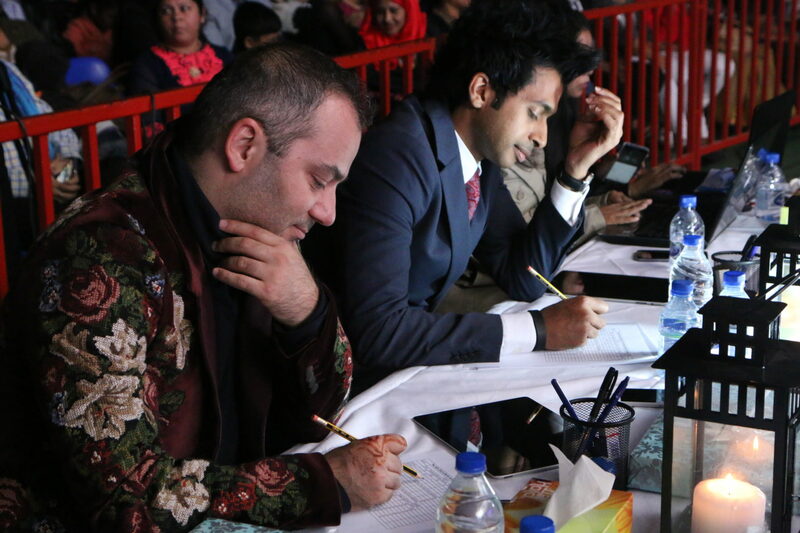 The judges, Mr. Hamami, Ms. Edward and Ms. Katovich had a trying time deciding the winners. 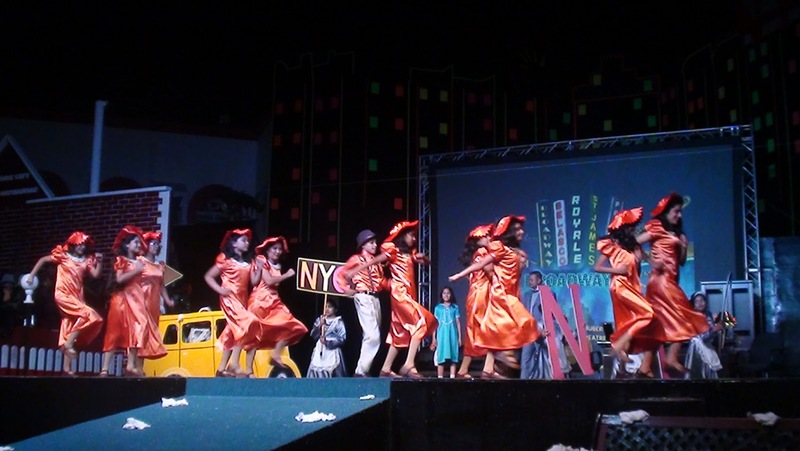 The highlight of the evening was a peek preview of the Broadway Musical adaptation ‘Annie’ which will be staged in the KGS campus on 17th and 18th of December, a unique KGS production. The chief judge, Mr. Hamami, felicitated the Music teachers of all the participating schools. The Chief Guest, Mrs. Biswas announced the eagerly awaited results. The Millenium School, Dubai, bagged the Rolling trophy and the GEMS Our Own English High School, Al Warqa (Girls) the Runners Up Trophy. They truly deserved the awards for their astounding musical renditions. The music festival concluded with the musical melodies still ringing in the ears and with the enthralled audience wanting more! 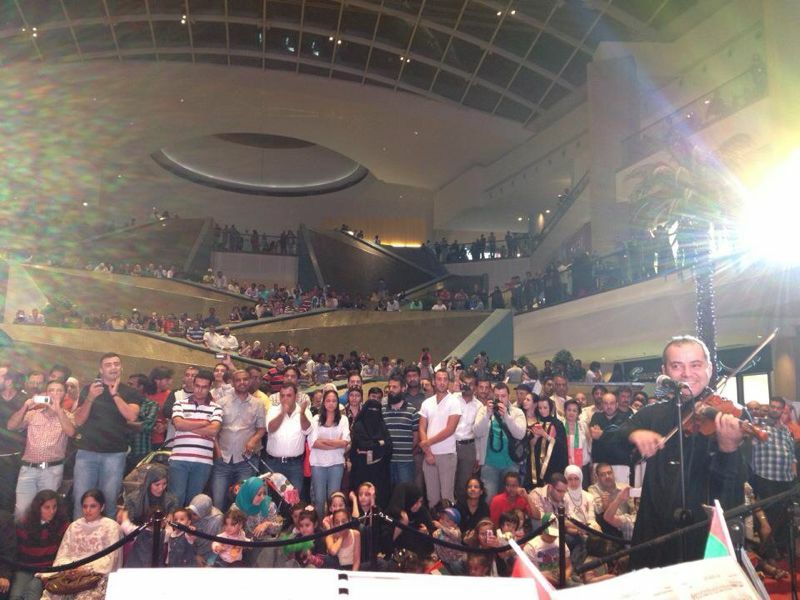 MH performs for over 5000 audience celebrating the NYE at the Galleria Abu Dhabi, UAE. 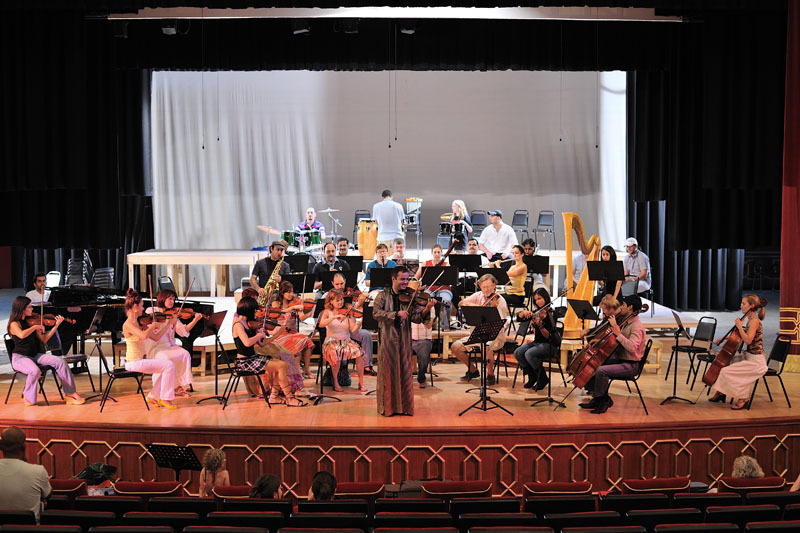 MH performed Handel Sing Along Messiah at the Sandler Music Hall, Norfolk, Virginia, with the Virginia Symphony City Orchestra , USA. 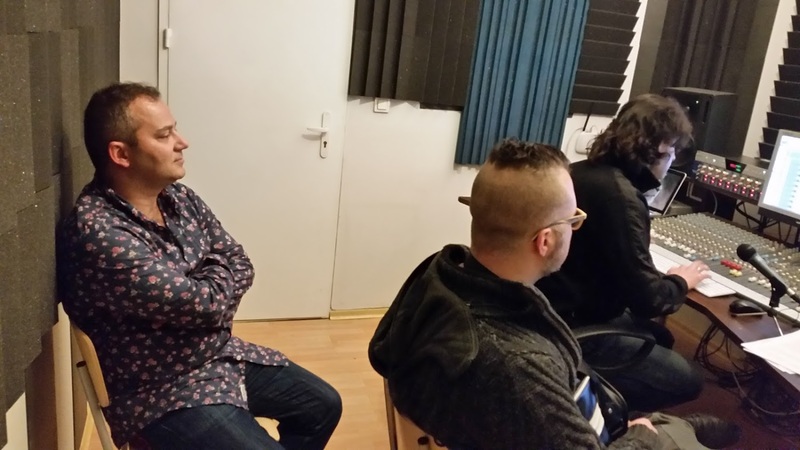 MH became member with the "Musicians without Borders" and visited their home in Amsterdam 1-October 2015. 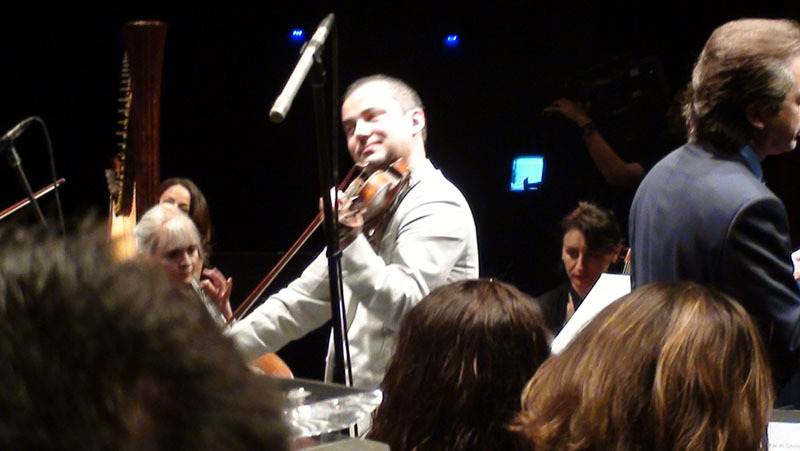 MH visits Paris with “Jasmine” and had some practice time with Ohji and some vioin repair. 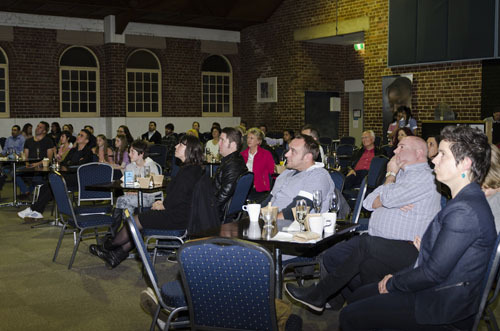 MH performs for one night at the “75 On Reid” in Melburne supporting the “One Girl” to educate girls in Africa. MH in Studios 301 Sydney, recording for the new album. 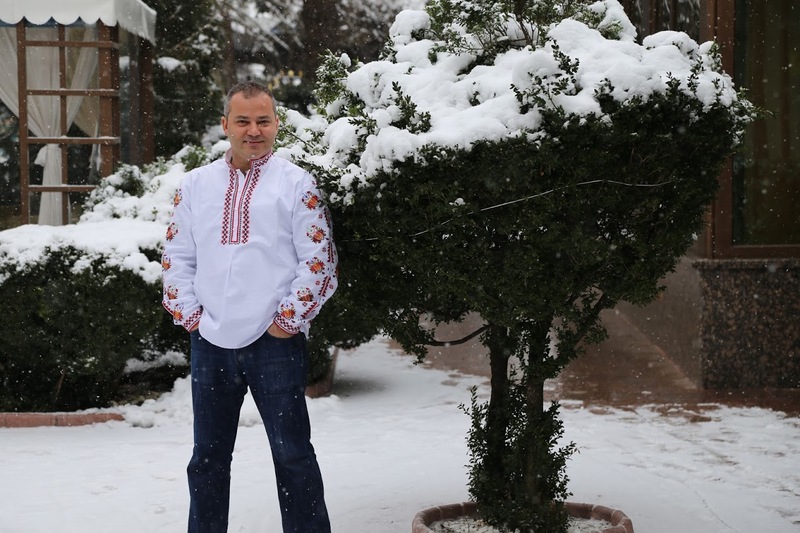 MH films 5 music videos in Sofia – Bulgaria with Kalin and Anni. 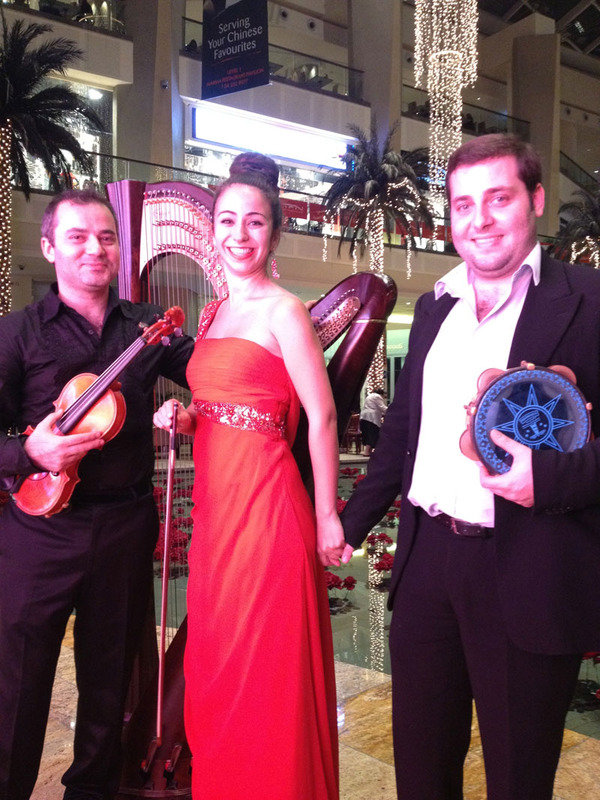 MH performs for the closing ceremony for the Dubai Shopping Festival @ Armani Hotel. 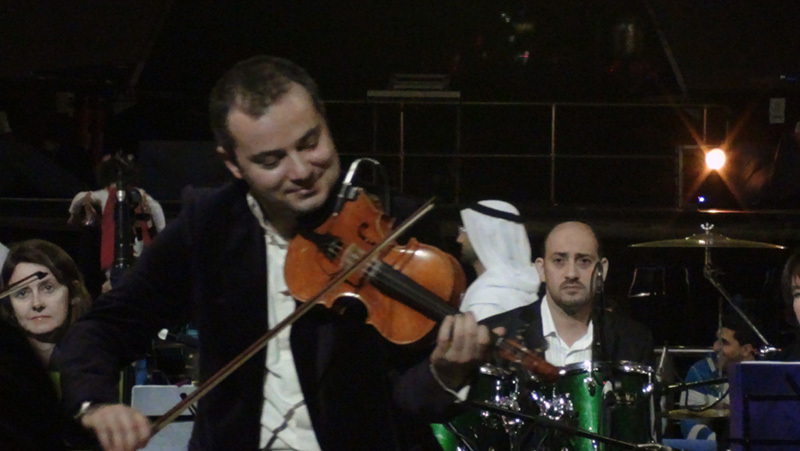 MH performs for the Gala Dinner for AL Khaleej Sugar with the Hamami Brothers. 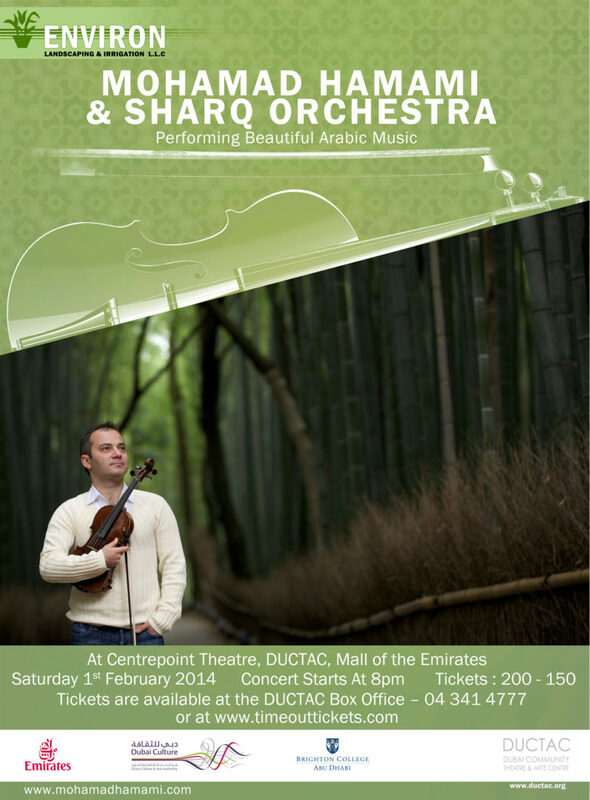 Mohamad Hamami and Sharq Orchestra to be joined by Oud Player Charbel Rouhana for New Year Concert at DUCTAC Violinist Mohamad Hamami and the Dubai-based Sharq Orchestra are once again returning to DUCTAC, Mall of the Emirates to delight music lovers with their captivating interpretations of Arabic classics and their own compositions. 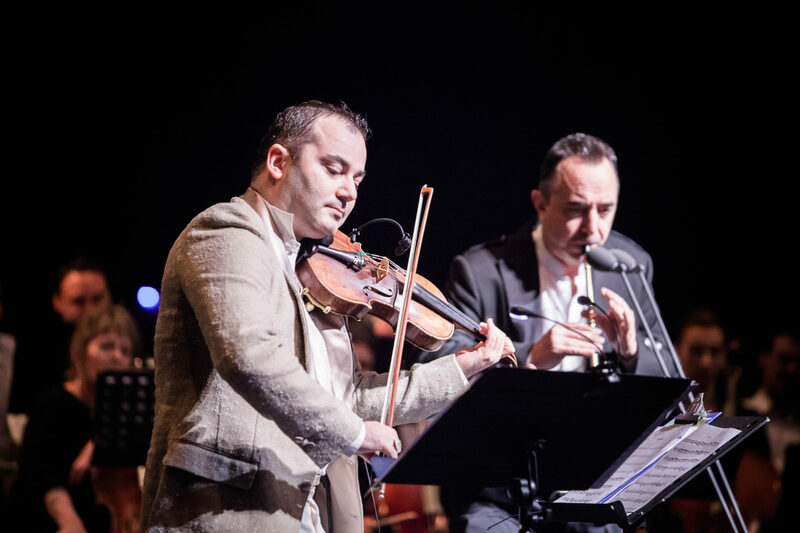 Hamami and his orchestra will be joined by special guest performer Charbel Rouhana at DUCTAC’s Centrepoint Theatre for a concert guaranteed to enthral and entertain music fans of all persuasions. 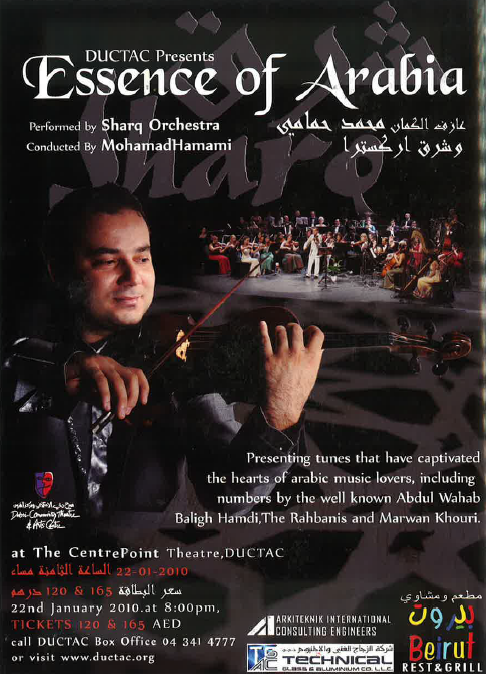 The show, which takes place on Friday 13th January, will be Sharq’s third annual New Year Concert at DUCTAC following Essence of Arabia in 2010 and last year’s hugely sucessful show featuring special guest Marwan Khoury. 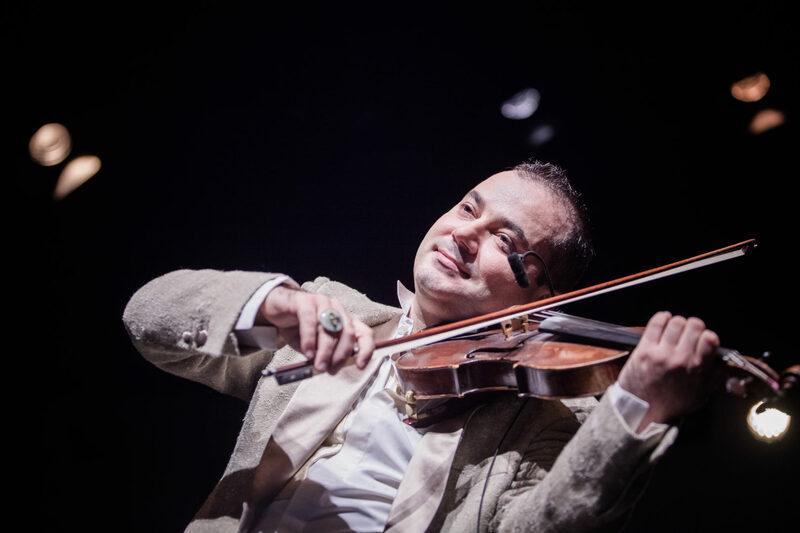 Charbel Rouhana is regarded by many as Lebanon’s finest oud player; this will be his second appearance with Sharq, and the combination of their masterful playing and the charismatic leadership of Mohamad Hamami is sure to be compelling and mesmerizing. 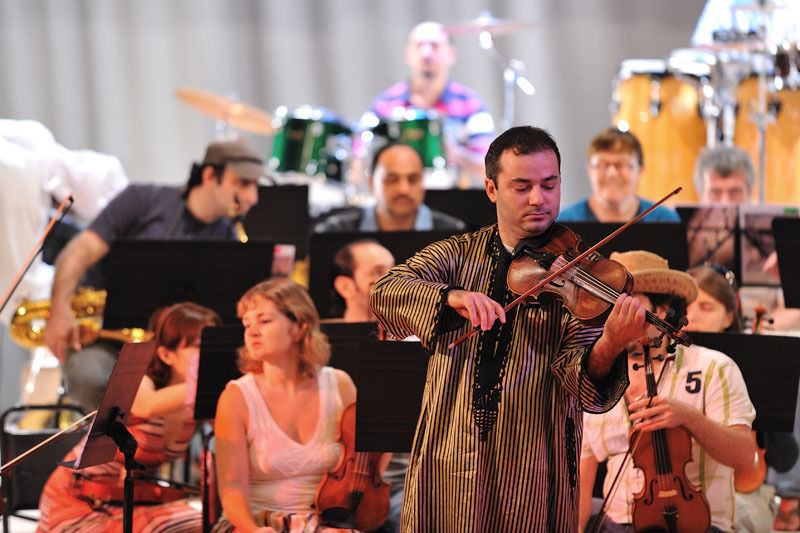 When Mohamad Hamami created Sharq Orchestra in 2008, the unique concept brought together 45 musicians from 22 nations with the aim of bringing music in general, and Arabic music in particular, to a wider audience. 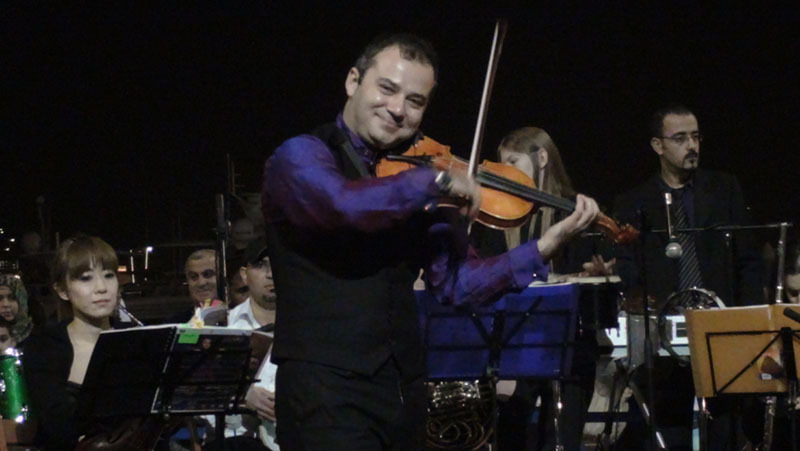 Hamami leads, conducts and plays solo violin with his orchestra, and describes Sharq music as “orchestral in shape, classical in technique and lively at heart.” Charbel Rouhana was drawn to the oud, the most popular string instrument in Middle Eastern music, because it reflected the oriental ambience of his beloved homeland. 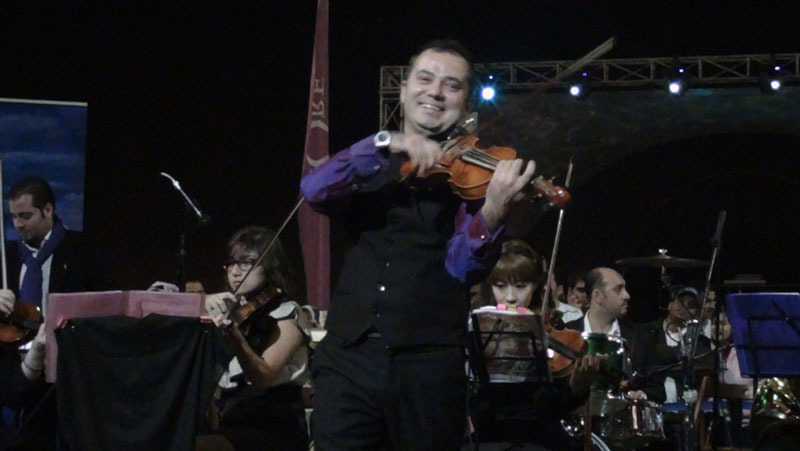 He is the author of eight books describing modern styles, techniques and methods of oud playing, and is a teacher at USEK (The Holy Spirit University) and at Lebanon’s National Conservatory of Music. 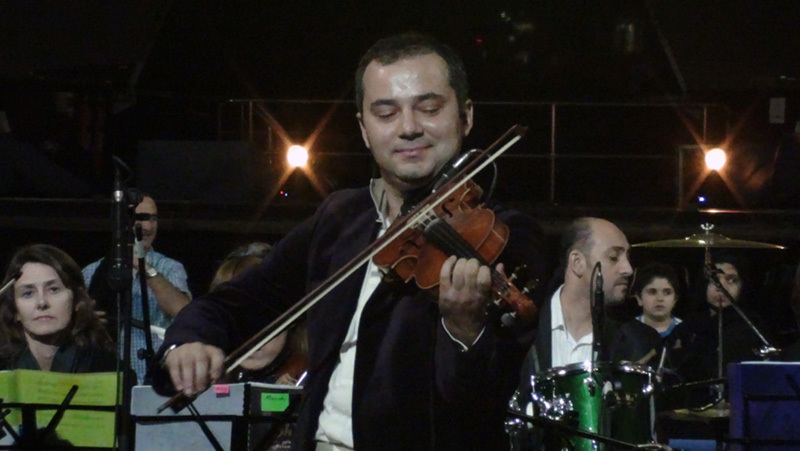 Rouhana won the Murex d’Or (Musician of the Year) in 2000 and was awarded First Prize at the 1990 Hirayama, Japan competition for the composition Hymn of Peace. 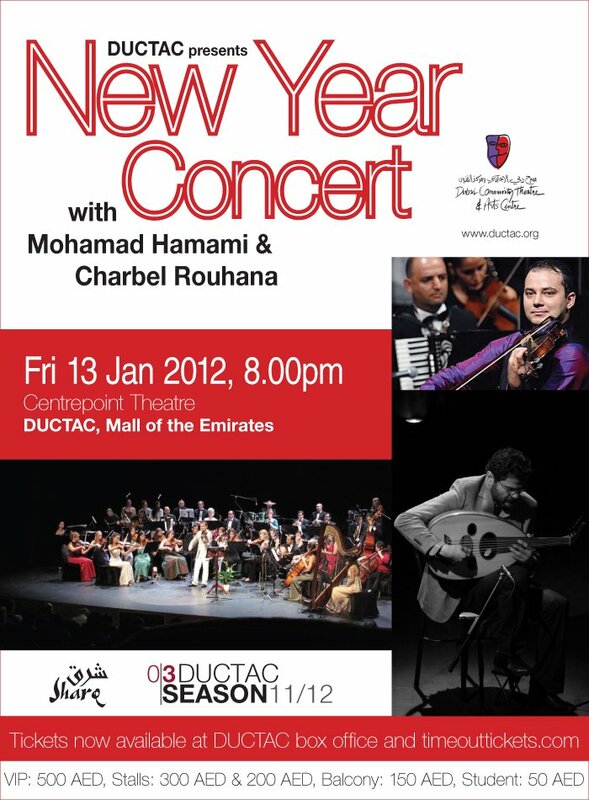 New Year Concert is part of DUCTAC’s Season 11/12, a multidisciplinary arts festival featuring a host of high-calibre artists and performers from around the globe. 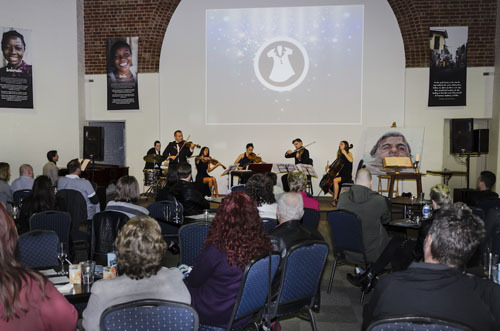 SEASON 2011/12 includes visual art, music, dance, drama and film events providing the community with a rich cultural programme throughout the winter. 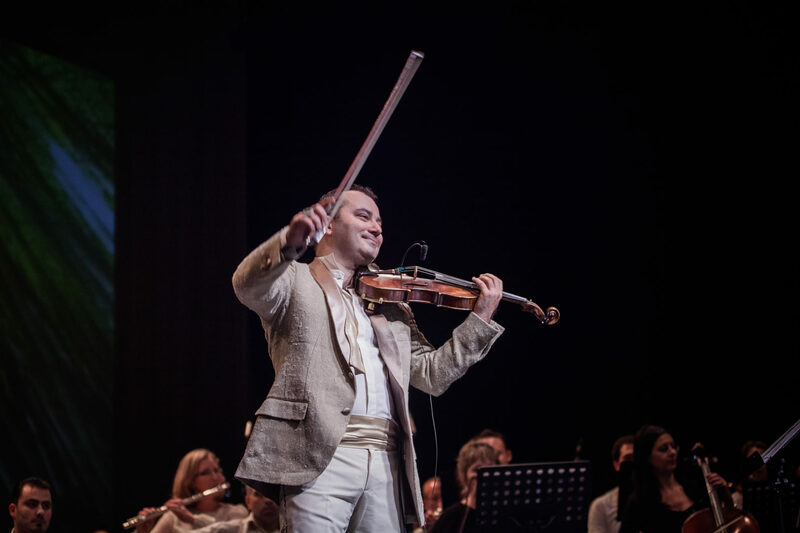 Solo violinist Mohamad Hamami and Sharq Orchestra present Essence Of Arabia, a concert focusing on tunes that captivated the hearts of Arabic music lovers and formed the basis for Arabic popular music. 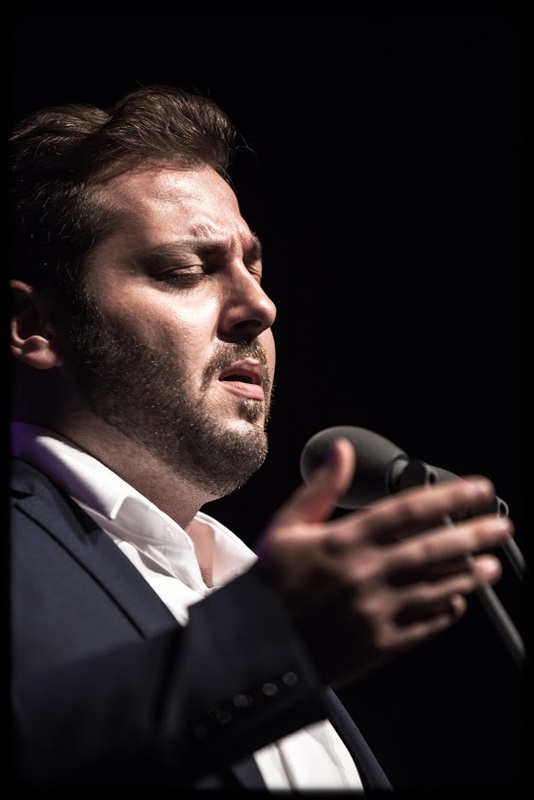 These essential tunes are the fruits of collaboration between Arab singing divas and the ingenuity of Arab composers; the concert will feature the compositions of Mohamad Abdul Wahab, Baligh Hamdi, Al Sombati, the Rahbanis to modern days Marwan Khouri, as presented by Umm kalthoum, Wardah, Abdul Halim and Fairouz. 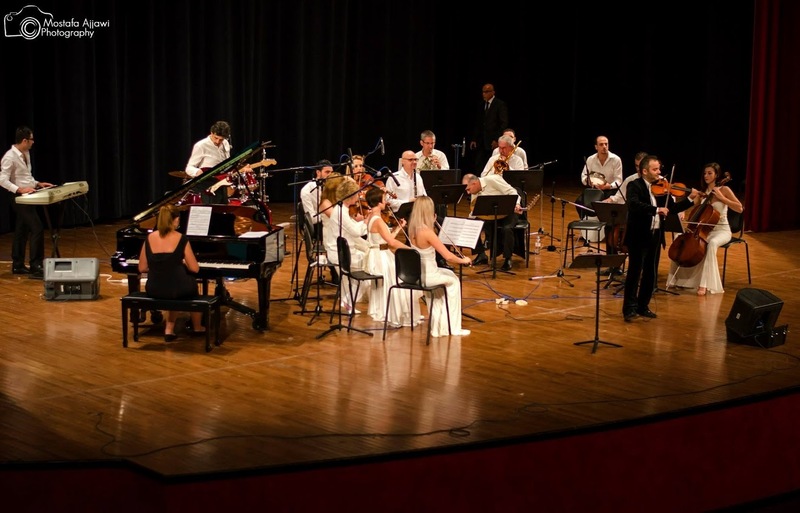 This concert targets music lovers of all ages and nationalities; it will be enjoyed by both Arabic music lovers and music lovers in general wanting an introduction to the sounds of the Middle East. 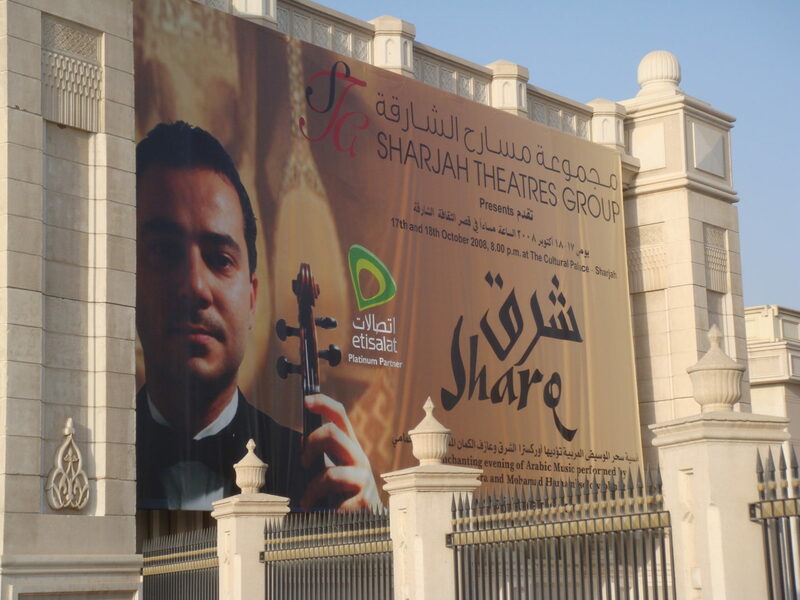 The Sharq orchestra was founded by Mohamad Hamami who leads, conducts and plays solo violin. 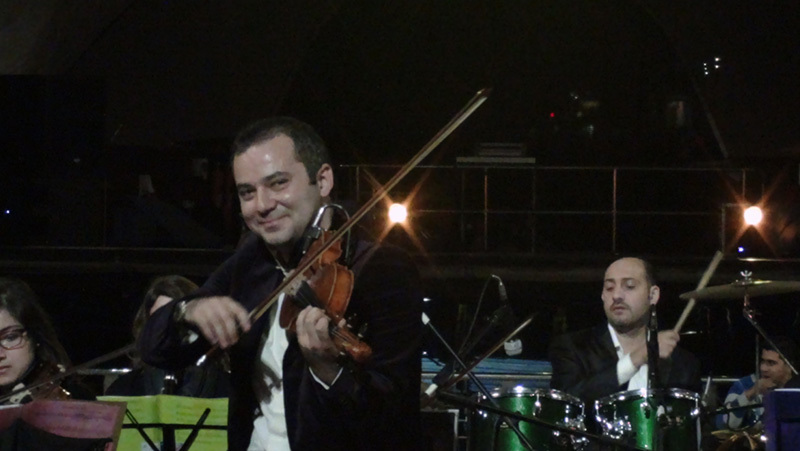 His aim is to promote music in general and Arabic music in particular to a wider and international audience. 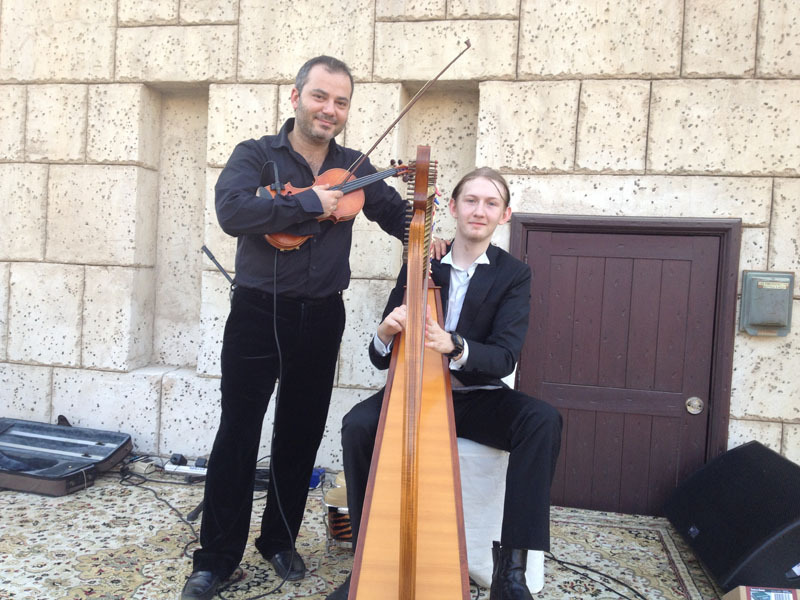 Their essentially Arabic repertoire is played by classically trained and mainly non Arabs who, like every expatriate in Dubai, are eager to explore the regional culture. 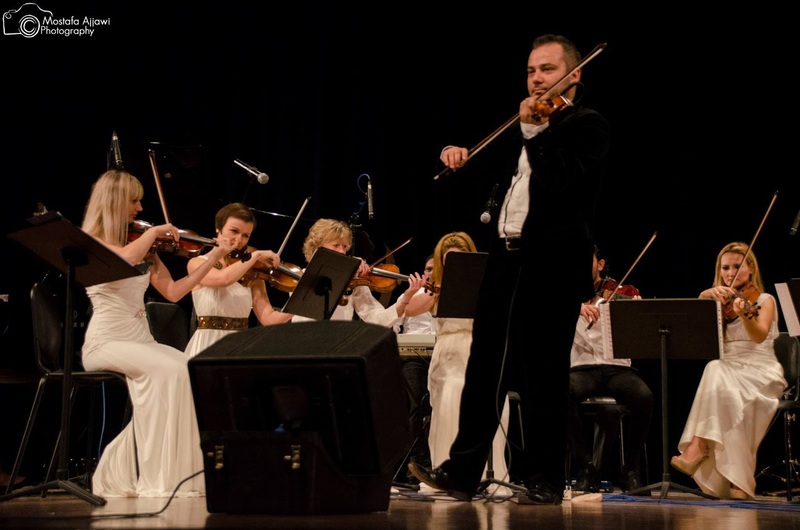 The music is orchestral in shape, classical in technique and lively at heart. 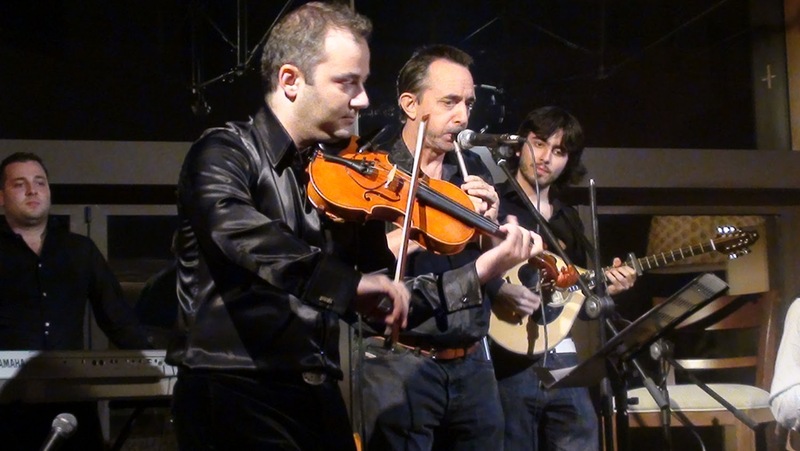 The repertoire is sure to entertain the audience. 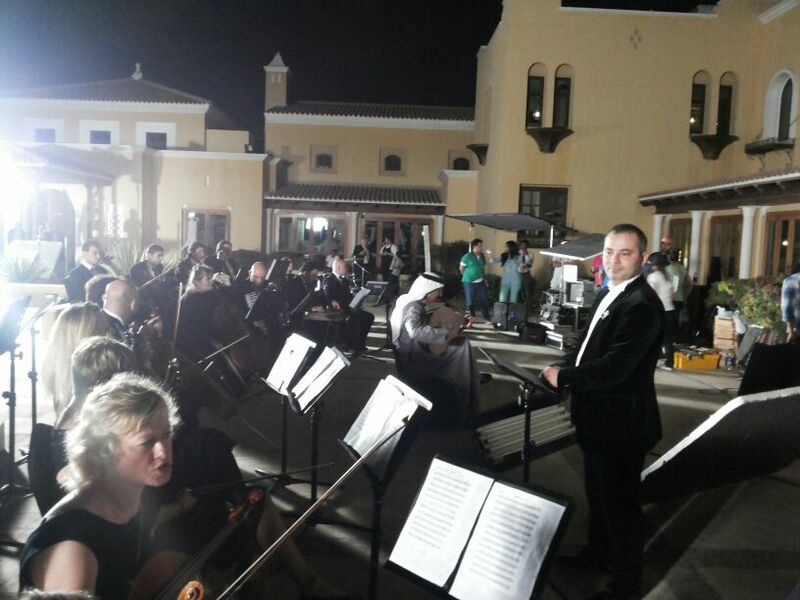 The Sharq orchestra is composed of over 45 musicians of 22 different nationalities with a classical music background. 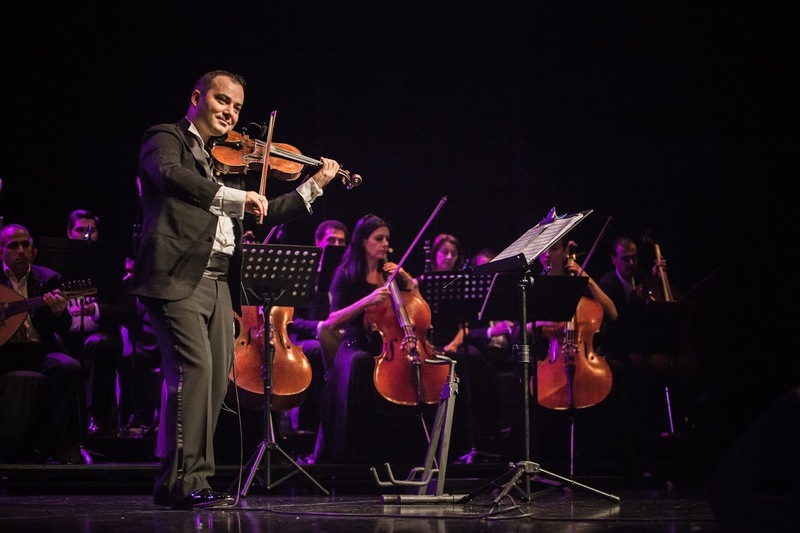 This concert will feature as part of Dubai Community Theatre & Arts Centre new project Season 09/10, a four-month arts extravaganza that will feature a host of acclaimed artists and performers from the genres of art, theatre, music, dance and film. 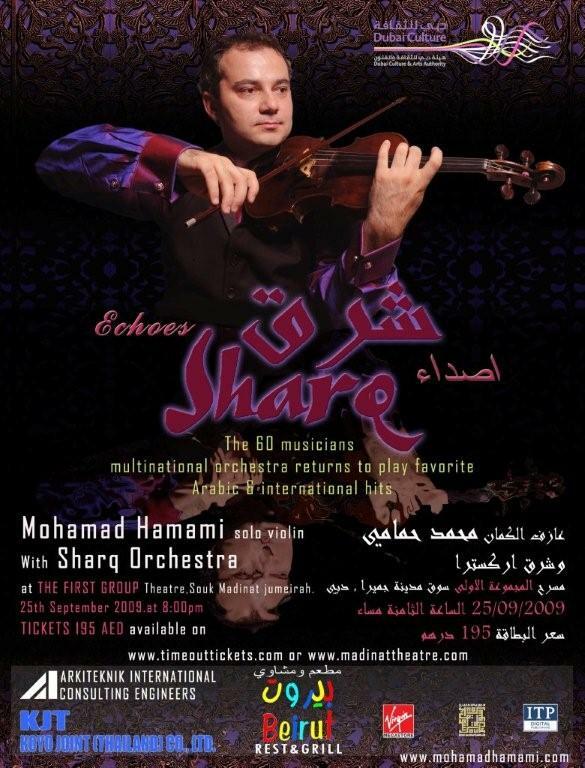 25 Sep 2009 Mohamad Hamami and Sharq orchestra recap a year of success in their fourth concert, the final in the series presented at The First Group Theatre. 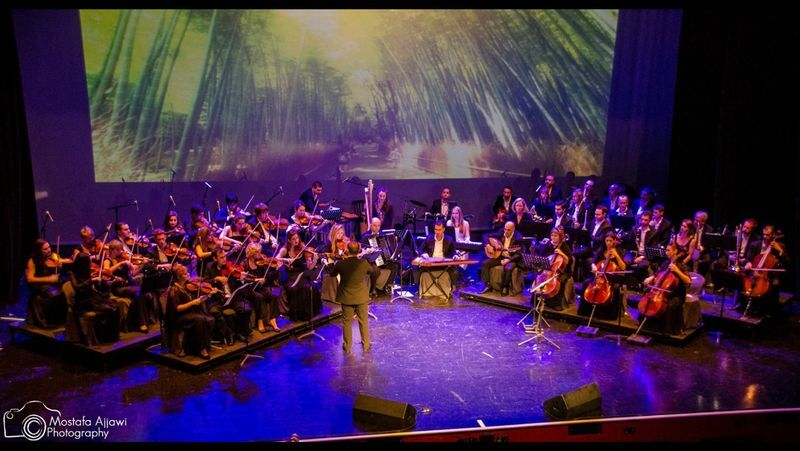 Sharq orchestra will be playing selected musical arrangements that has impacted audience and left a stamp in their memories. 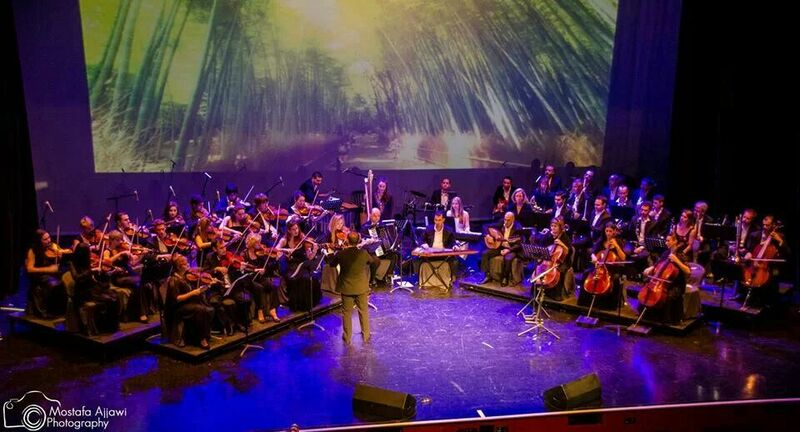 From Umm Kalthoum, Abdulwahab,to Fairouz and the Rahbanis the specially stage arranged music exclusive to Sharq orchestra will be combined with Sharq’s own compositions to delight listeners as was always promised. 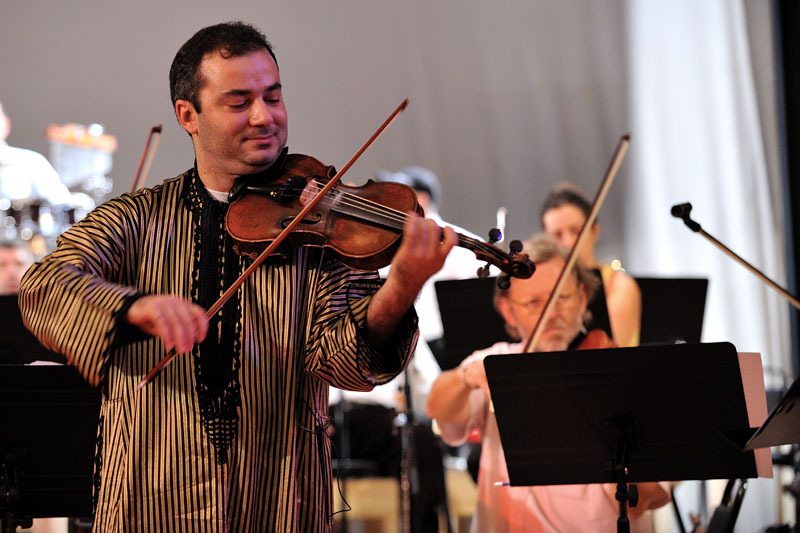 Sharq orchestra was founded by Solo violinist Mohamad Hamami in 2008 and consists of more than 60 Musicians of 22 different nationalities playing Arabic and international music. 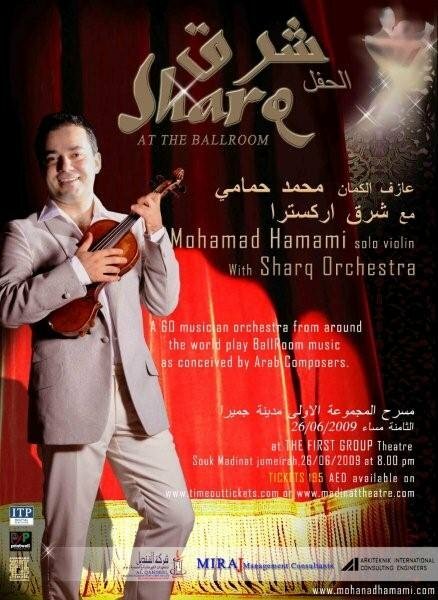 Solo violinist Mohamad Hamami and the Sharq Orchestra present their lateset concert "Sharq at the ballroom". 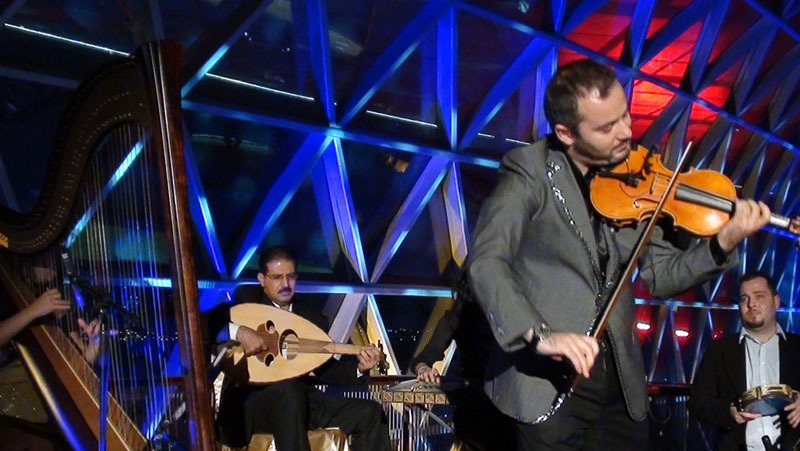 Focussing on how Arabic music transformed western ballroom tunes like the Waltz, Tango, and Salsa into a new music form. 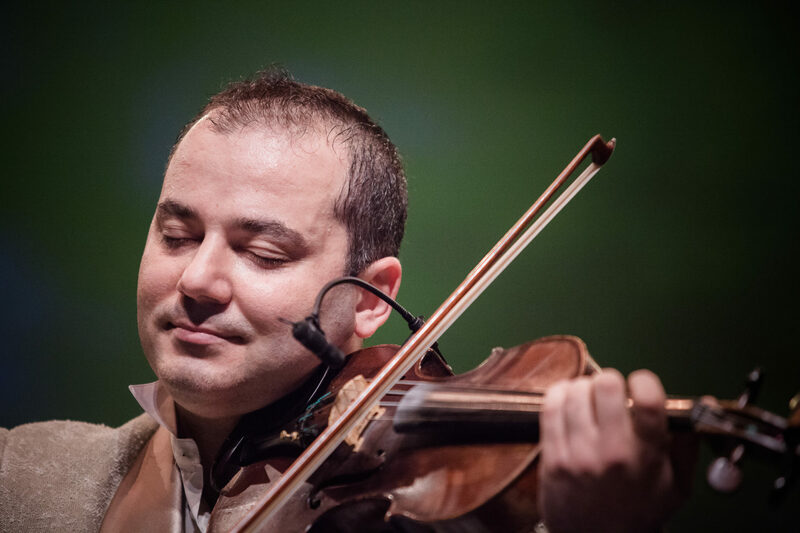 Don't miss this festive concert with a Middle Eastern flavor. 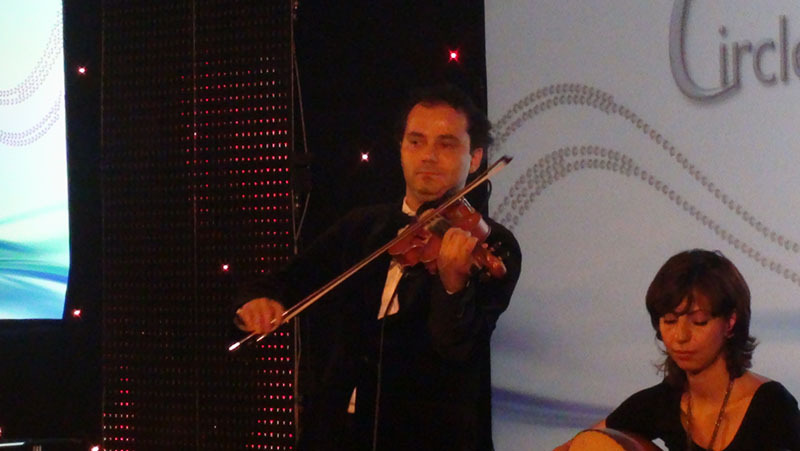 Whether it was Napoleon’s military introduction of western musical instruments into Egypt or the interaction with the west after the fall of the ottoman rule, it was obvious that at a certain time Arabic music composers started to have an appreciation to western tunes and started to introduce western musical instruments and western beats in their music. 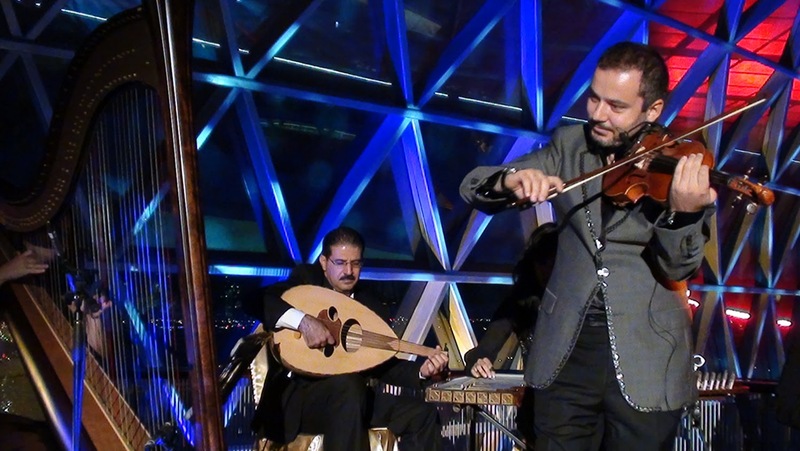 Since the early 1920s Arab music composers started to add a western flavor to their music and favored classical and Latin tunes which adapted well to the regional taste. 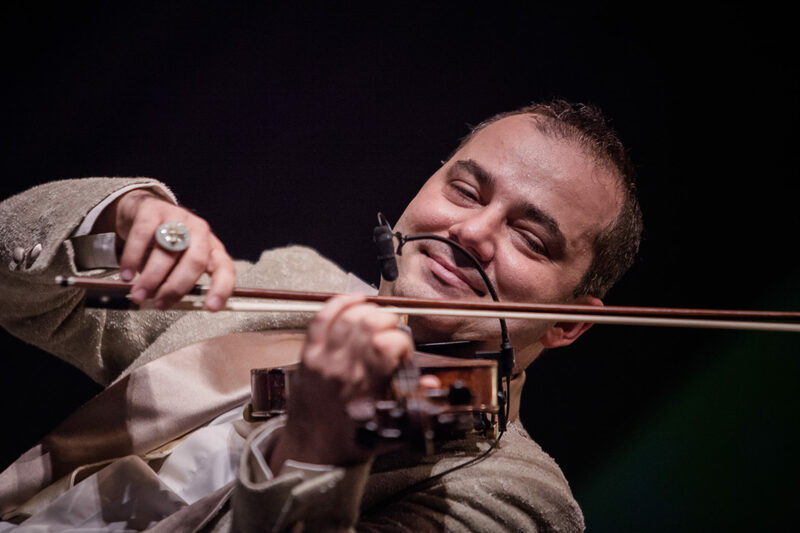 Waltz , Samba , Bolero, Tango ,salsa to name a few, featured in many Arabic music compositions and was performed by singers who were considered deeply rooted in traditional Arabic music. 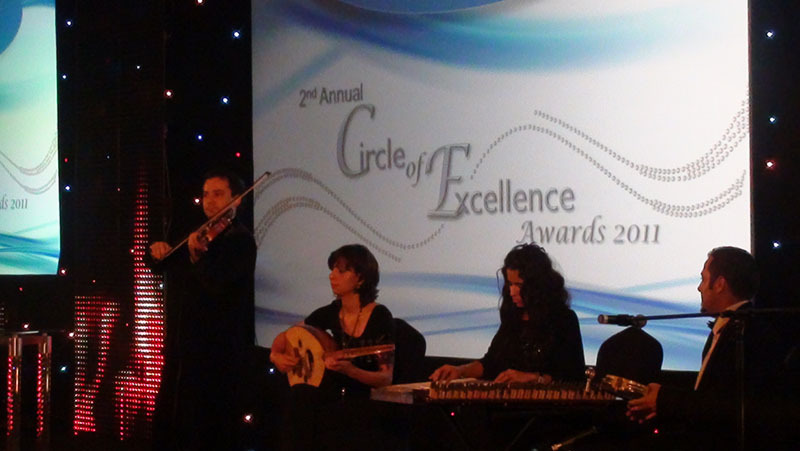 It was the ingenuity of these artists which made this integration successful and highly acknowledged by the Arab audience. 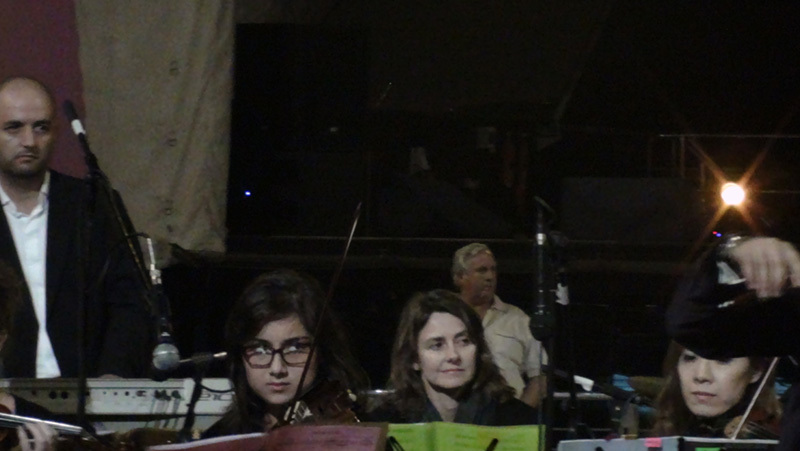 These new tunes also added a theatrical and festive atmosphere after centuries of a somber and romantic tone. 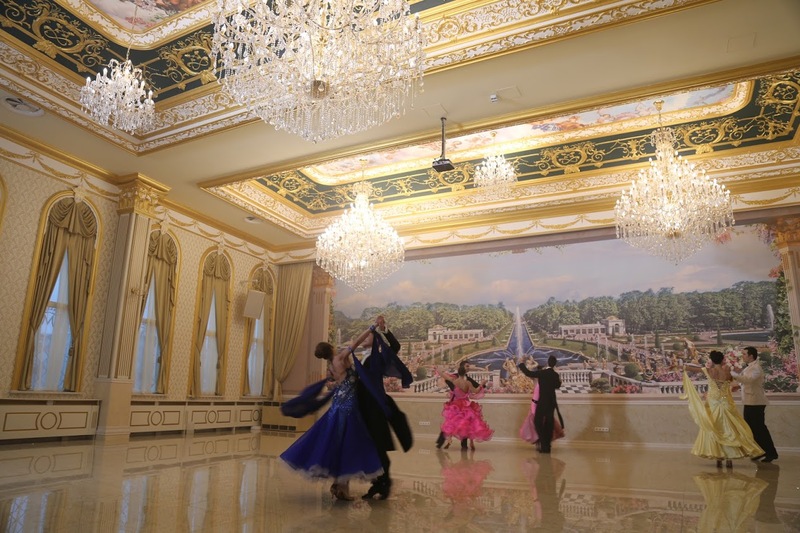 It brought the Arabic music from the platform to the ballroom. 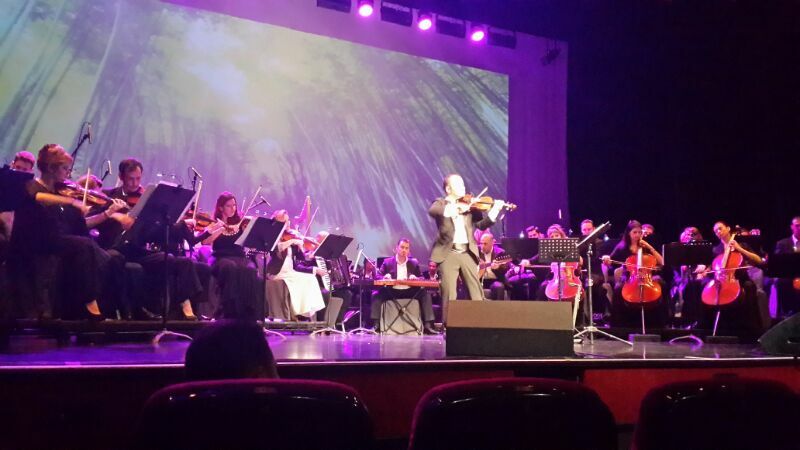 Opera House Damascus, Unisco Lebanon, Madinat Jumeirah Dubai, Emirates Palace Abu Dhabi, Music Festival Algeria, among others. 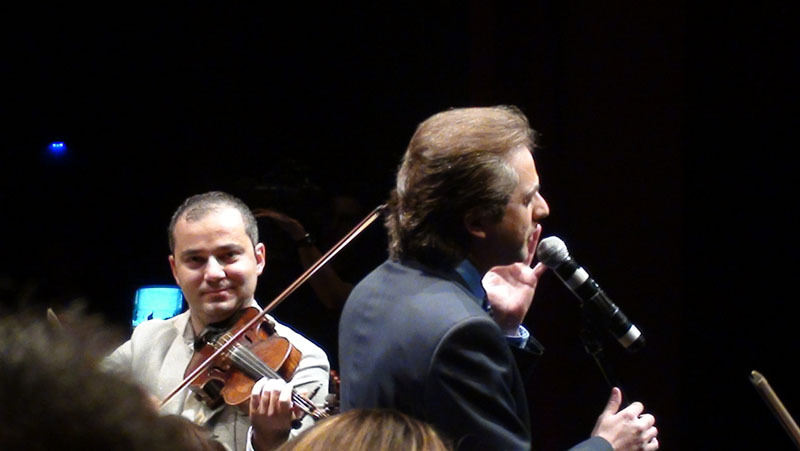 I have also recorded my own solo album, which is sold widely in record stores in the Middle East and on iTunes. My album, In Paradise, is featured on Air Emirates flights around the world. 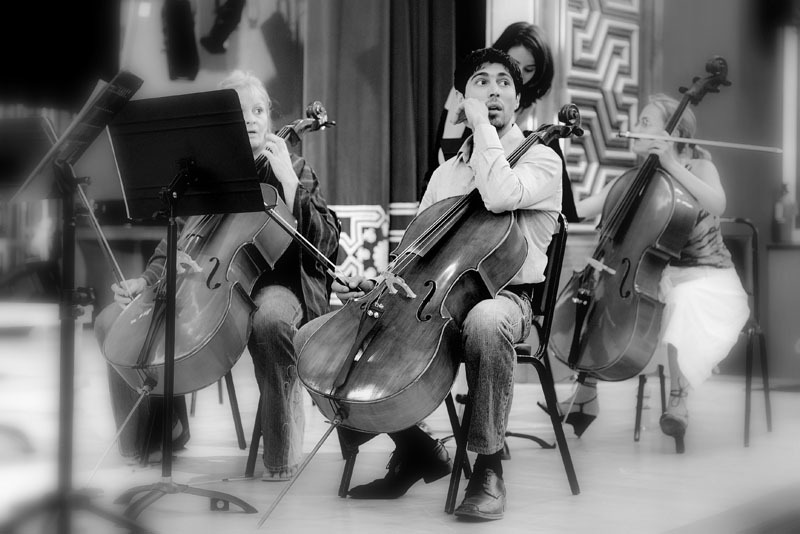 I began my career in music at the tender age of 8 years old. 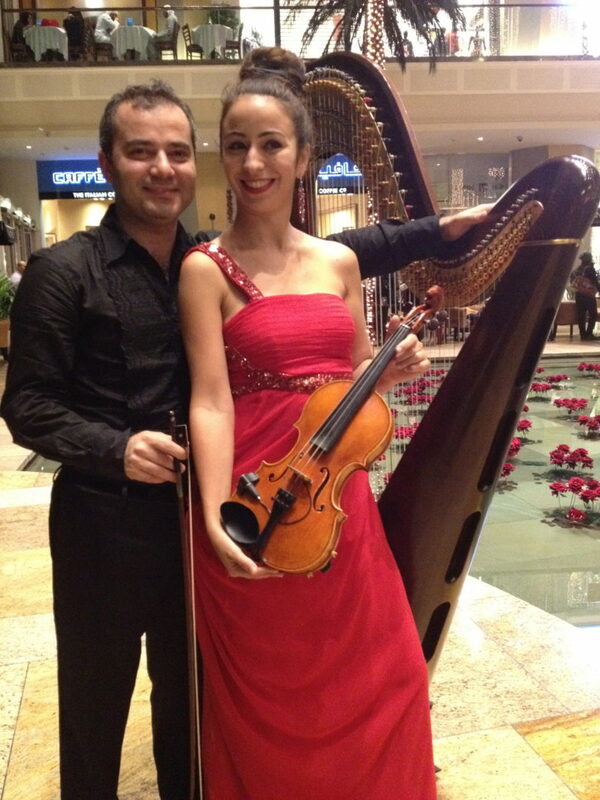 I come from a family of musicians: my grandmother was a professional Oud player and my mother was a vocalist. 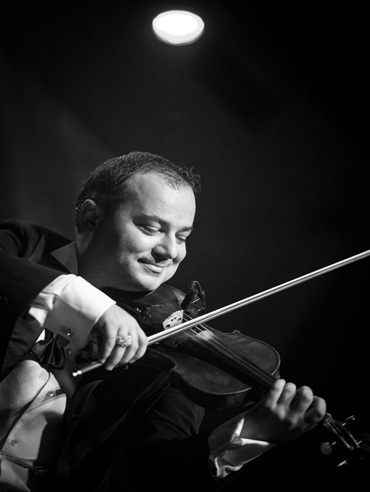 As a young child, my father signed me up violin lessons, and it became clear quickly that I had a natural gift for music. 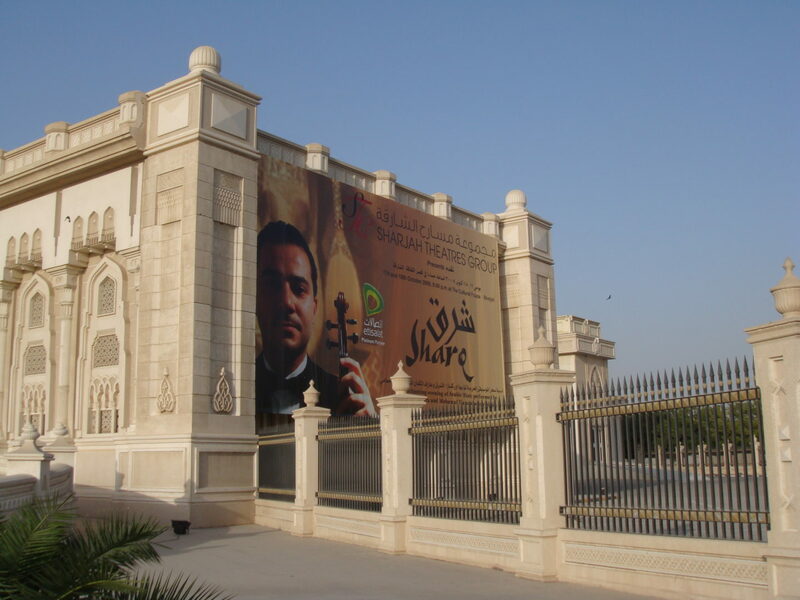 At that time, there was only one school (the Arabic Institute for Music) that specialized in music education to serve the whole Middle East region. It had three locations: one in Cairo, Egypt, one in Iraq, and one in Aleppo, Syria. 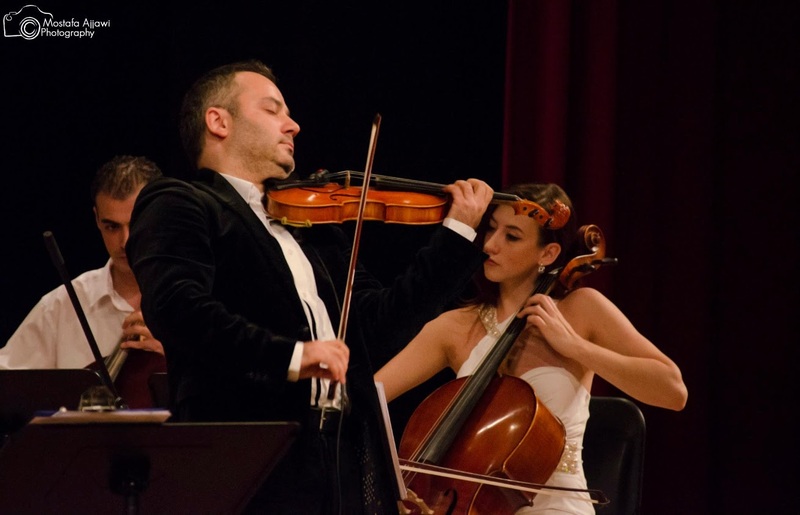 I was one of over 2,000 young applicants who applied to study at the Arabic Institute for Music in Aleppo, Syria, and one of only 40 students admitted. 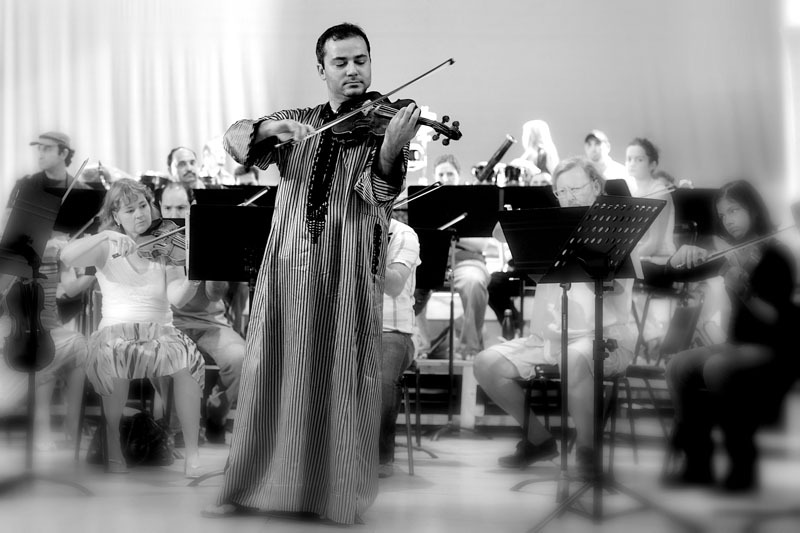 At the Arabic Institute for Music, I was trained in the Western pedagogy of musical education: through written music and classical, orchestral techniques. I excelled in my musical education, receiving top marks and earning the honor of being the top ranked student in my class. I graduated with my diploma at the age of 14. 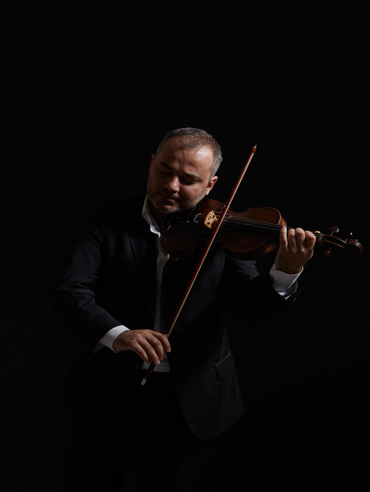 Because I attended the most prestigious music school, and because my teachers recognized me as a top student, they often recommended me to other musicians and music producers looking to contract with a violinist for performances or recordings. 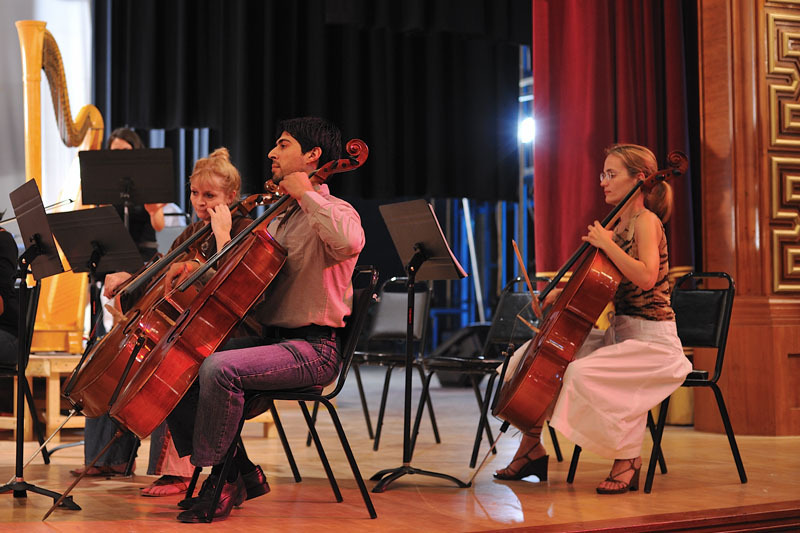 I had a reputation for being able to sight-read music nearly perfectly, and learn and perform written pieces with only a few minutes of practice. 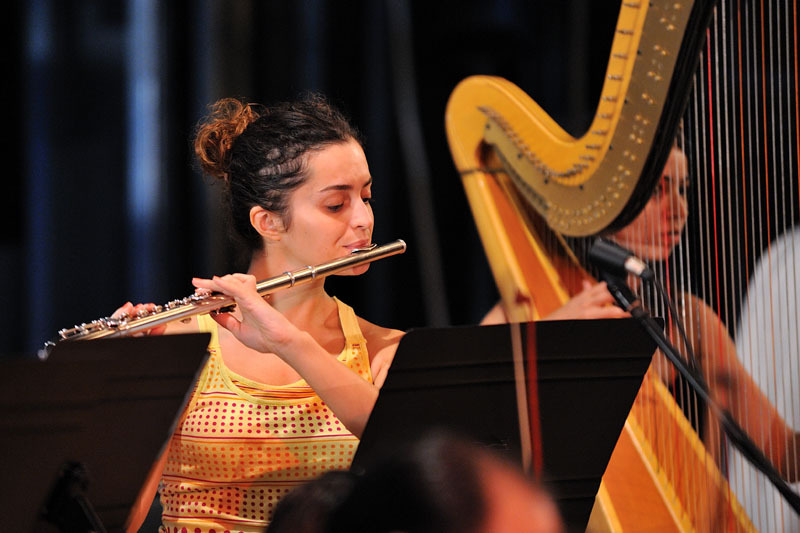 Starting from age 14, I worked as a freelance professional musician. 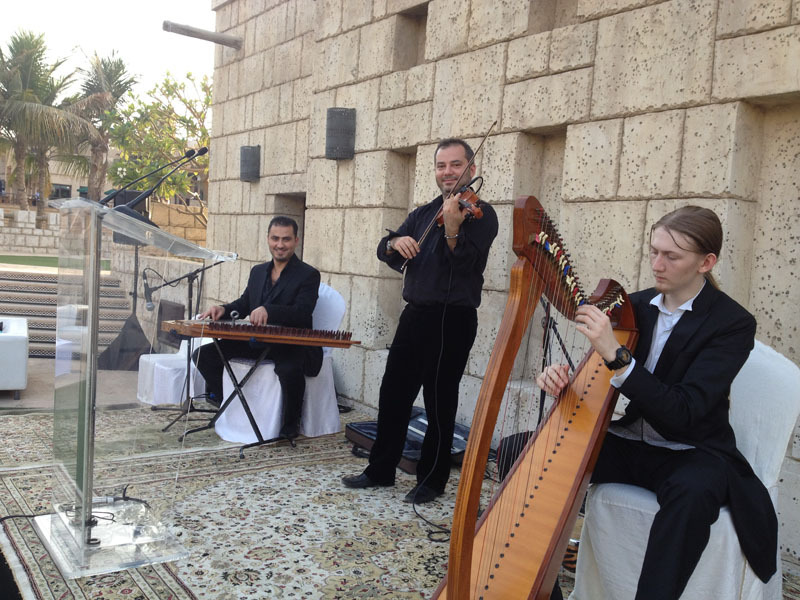 I played gigs and recorded with ensembles all across the Middle East, including in Syria, Tunisia, Lebanon, and Egypt. 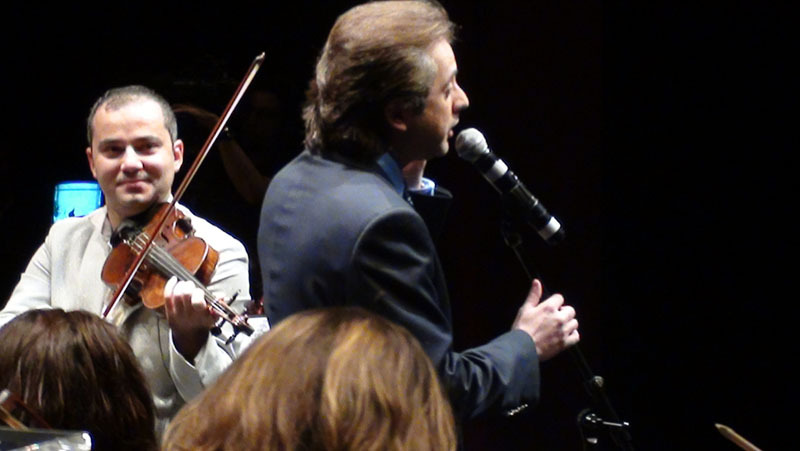 I was still a young child when I was hired to perform and record with the popular Lebanese group Fairouz and Majida Al Roumi Orchestra. 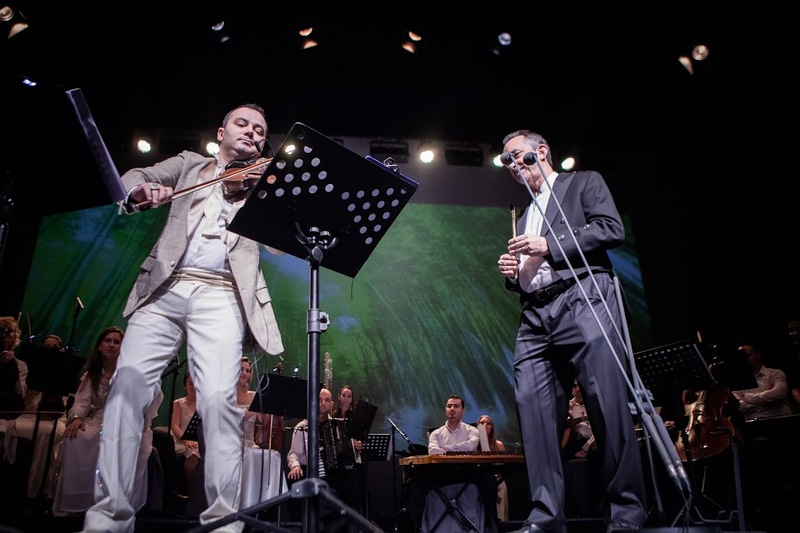 At age 16, I was awarded a prestigious apprenticeship with two major Russian music professors in Syria: Professor Emil Tchalbach and Professor Ali Mokhtar Babeish. 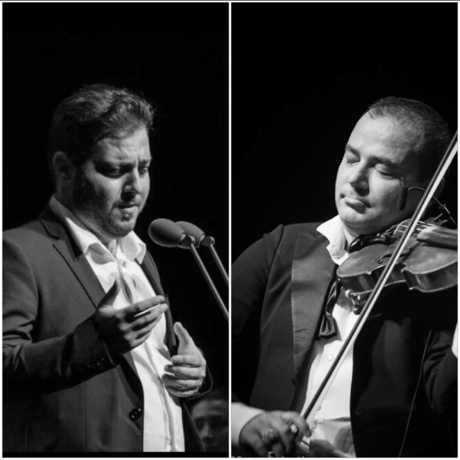 Both professors taught at the Institute in Aleppo and maintained busy careers as professional musicians. 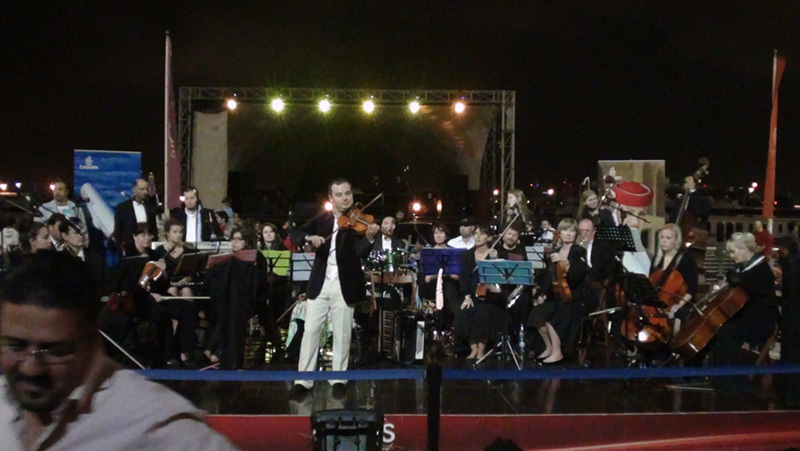 They played with the Syrian Symphony Orchestra, one of the most respected and well-known orchestras in the region. 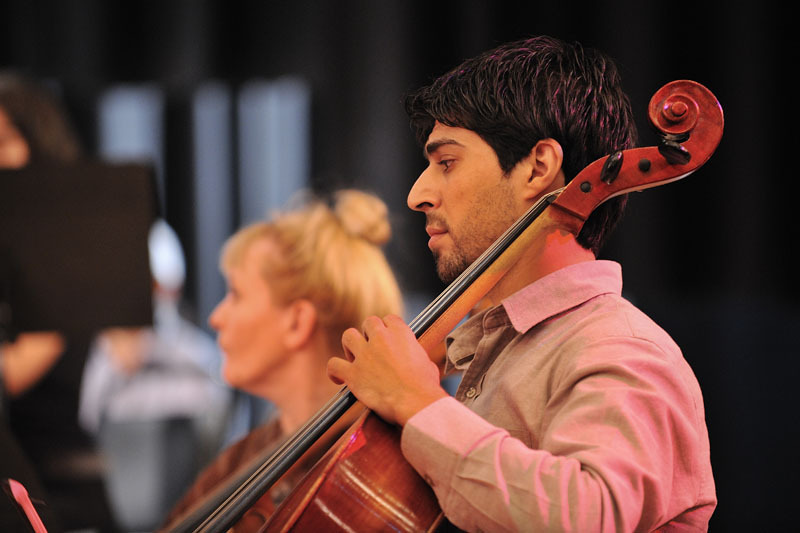 Through them, I learned and perfected the art of teaching music. 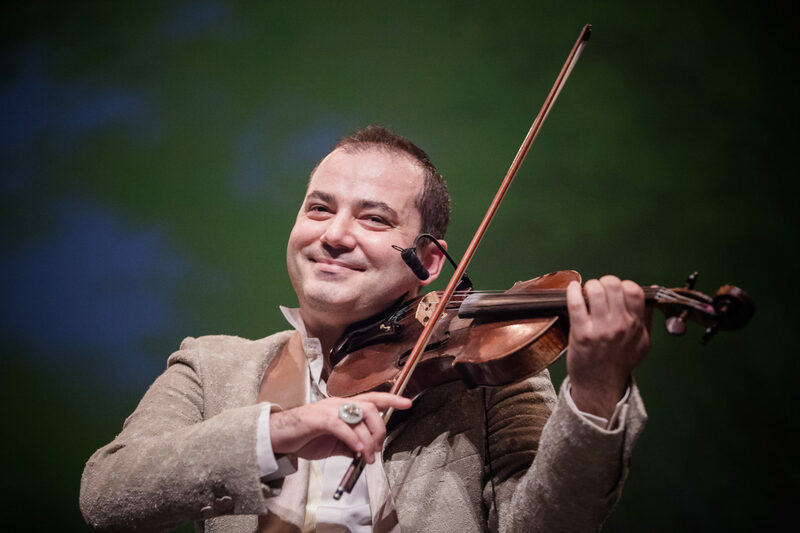 Following this apprenticeship, the Arabic Institute for Music hired me only two years later, when I was 18, to teach violin. 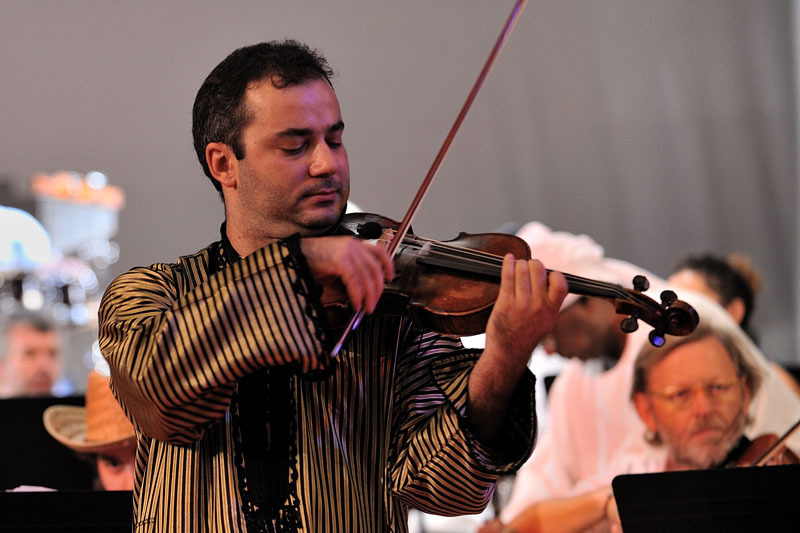 In around 1997, I began to perform and record across the Middle East and North Africa, including in Algeria, Egypt, Tunisia, Jordan, and the UAE. 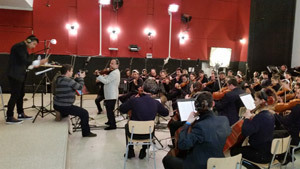 I performed with the Bahrain Orchestra (2005, 2008, 2009), the Bulgarian Orchestra (2009, 2010), and performing solo pieces at the Art Center Opera House in Mexico City, Mexico (2010). 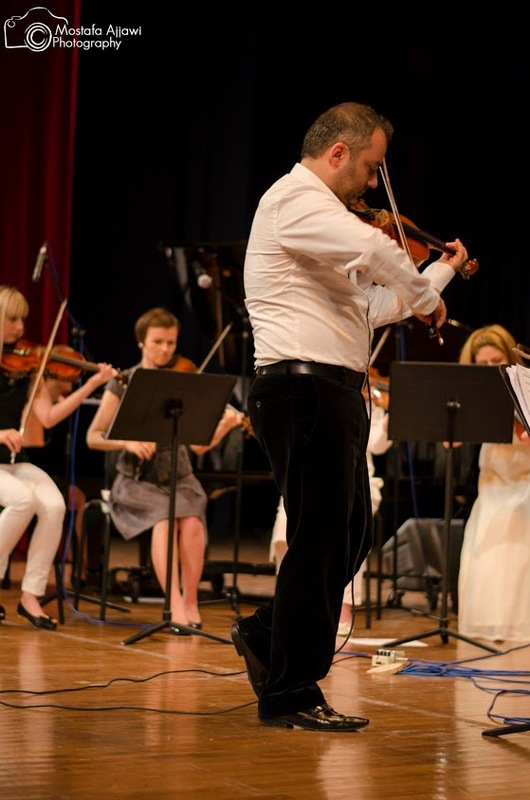 I also performed with the Syrian University National Orchestra, the most well established University orchestra in Syria, and the Aleppo Chamber Orchestra, one of the top orchestras in Syria. 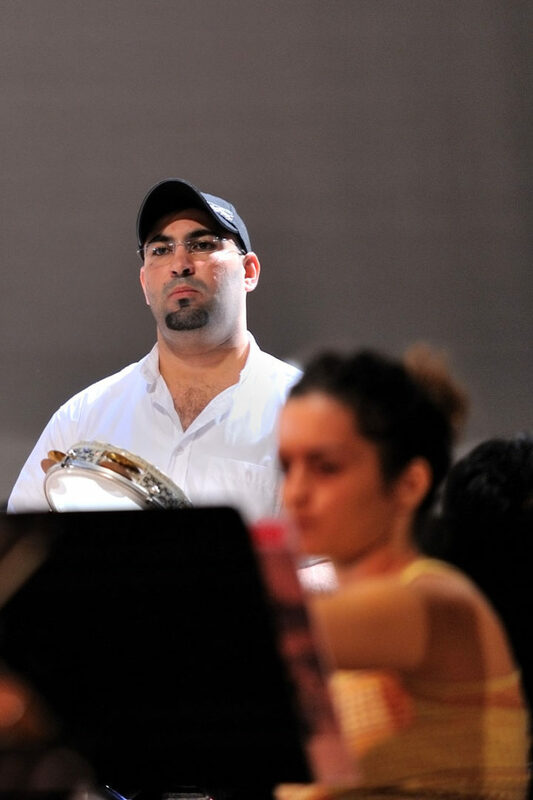 As part of an ensemble, my work with has been featured on various albums, and in television and radio advertisements, including Rotana TV, MBC, Mazzika, Abu Dhabi TV, Dubai TV, Sama TV, Emirates News, among others. 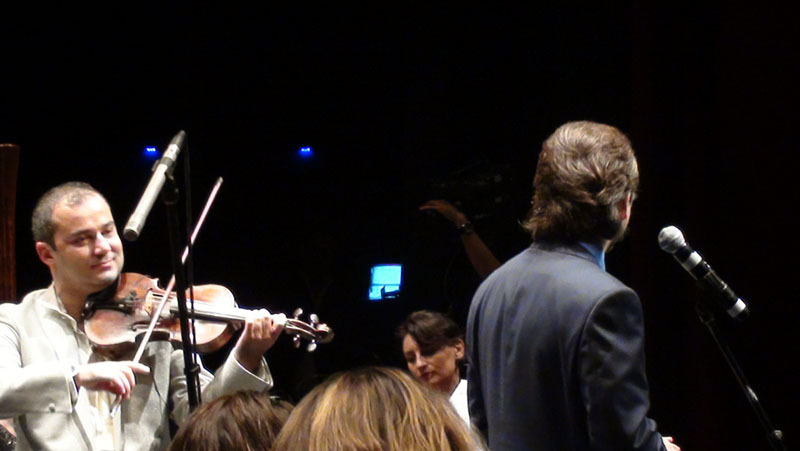 Through my travels across the globe, I was exposed to musicians and composers from all over the world. 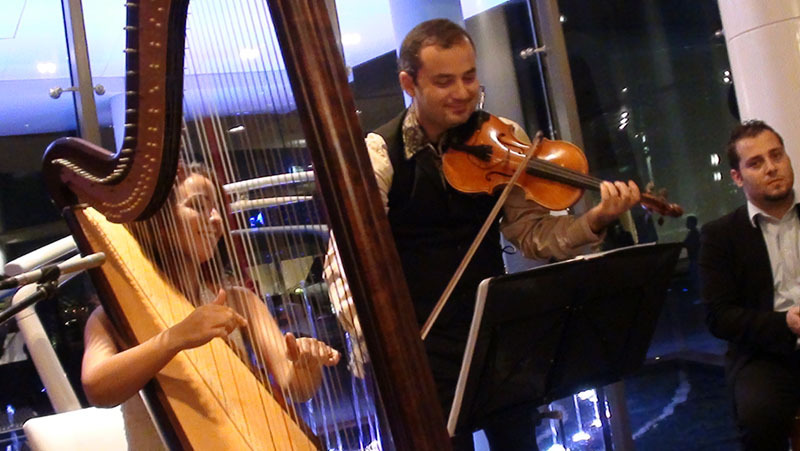 I performed with musicians who played all genres of music, from Irish folk music, to Latin, to American Jazz, to traditional Indian music. 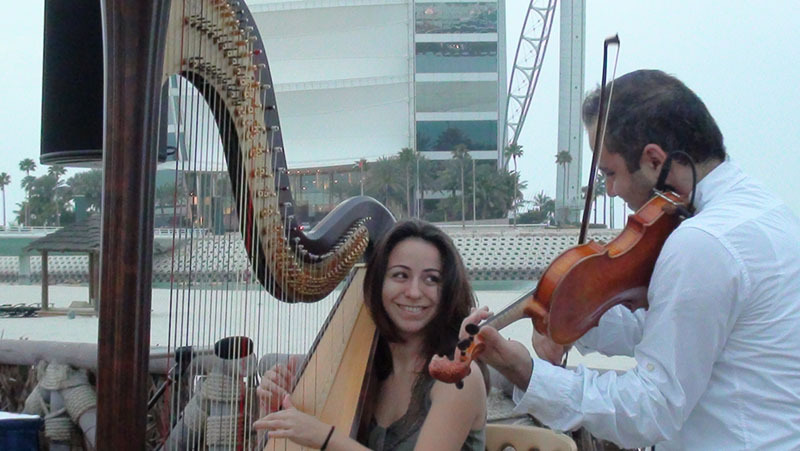 I gleaned both how other musical cultures teach music and learn music. 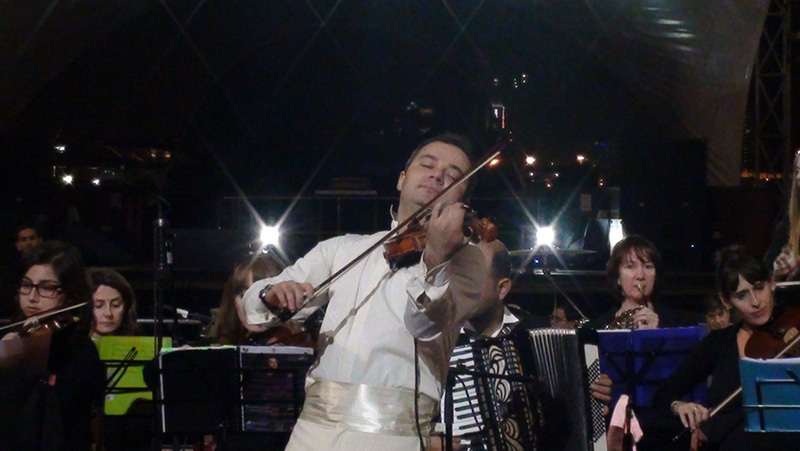 I also acquired technical skills pertinent to other musical genres and national cultures’ music. For example, in Japan and India, I learned alternative scales, which feature additional notes and lack other notes that western and Arabic scales feature. 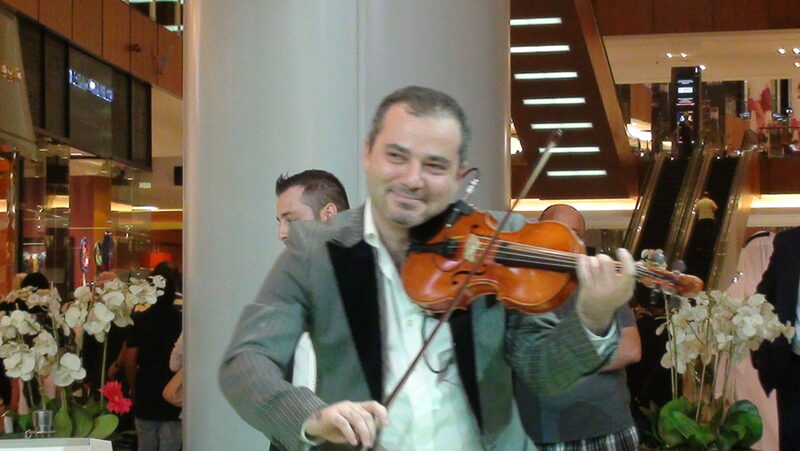 In Turkey, as another example, I learned a different bowing technique, native to Turkish music, which results in a different kind of articulation, rhythm, phrasing, and sound. 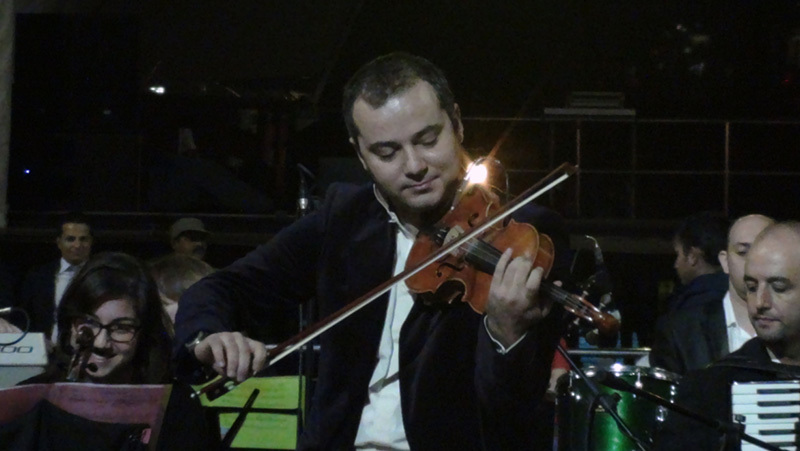 My experiences as an international musician shaped not only my skills, but also influenced my unique sound as a performer. 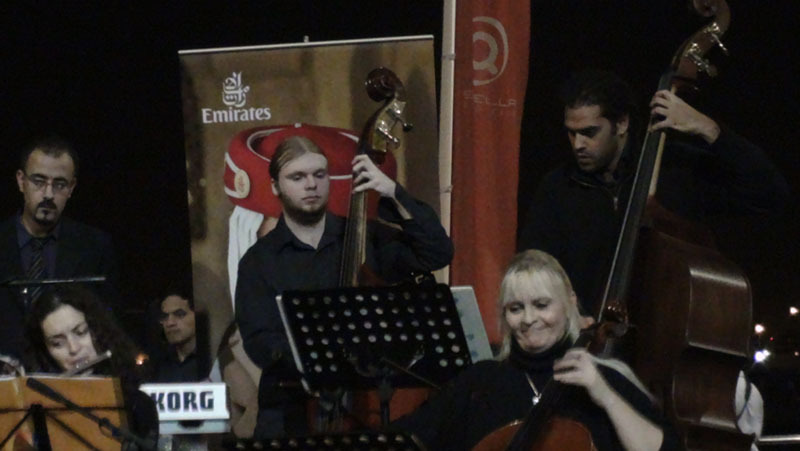 In 2001, at the age of 23, I moved to Dubai, UAE and joined the Chamber Orchestra of Dubai. I played with this orchestra for several years, until around 2007. 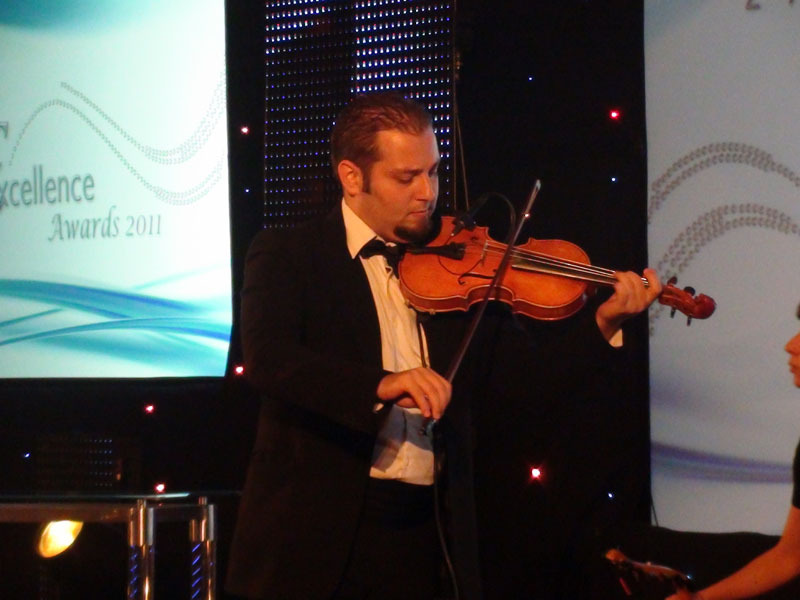 From 2008 to 2010, I played lead violin for the Dubai Philharmonic Orchestra (now known as the UAE Philharmonic Orchestra), which is the top Orchestra in the United Arab Emirates. 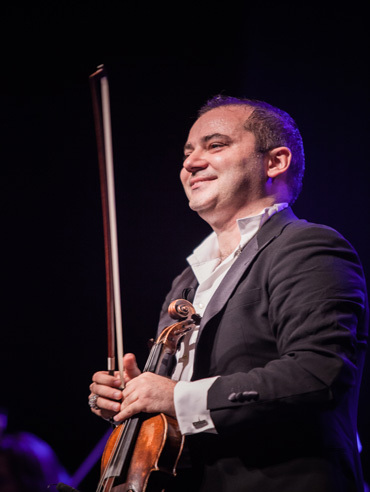 Although my performances with the Chamber and the Dubai Philharmonic Orchestra were limited to classical Western concertos and symphonies (the way I was trained at the Arabic Institute for Music), because Dubai tends to be a very international city, I also had many more opportunities to work with musicians from around the world. 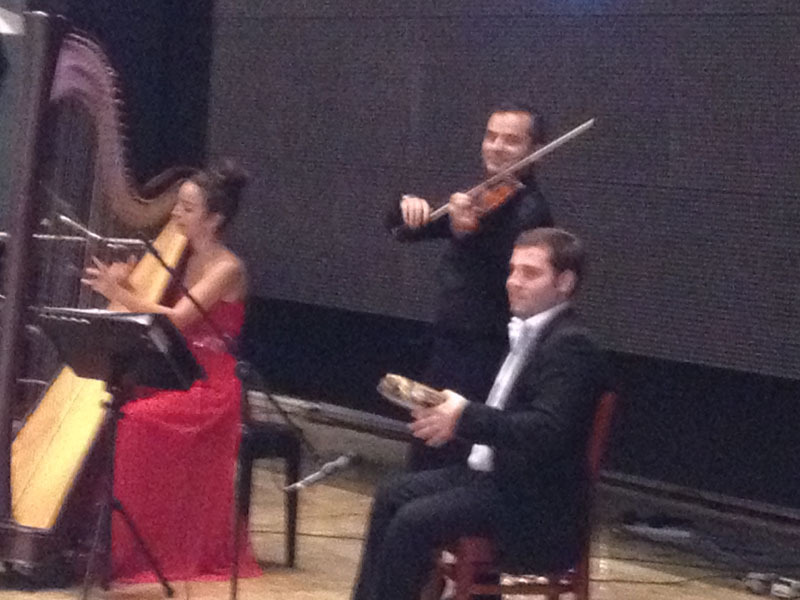 I continued to perform and learn about the cultures and musical traditions of my fellow musicians. 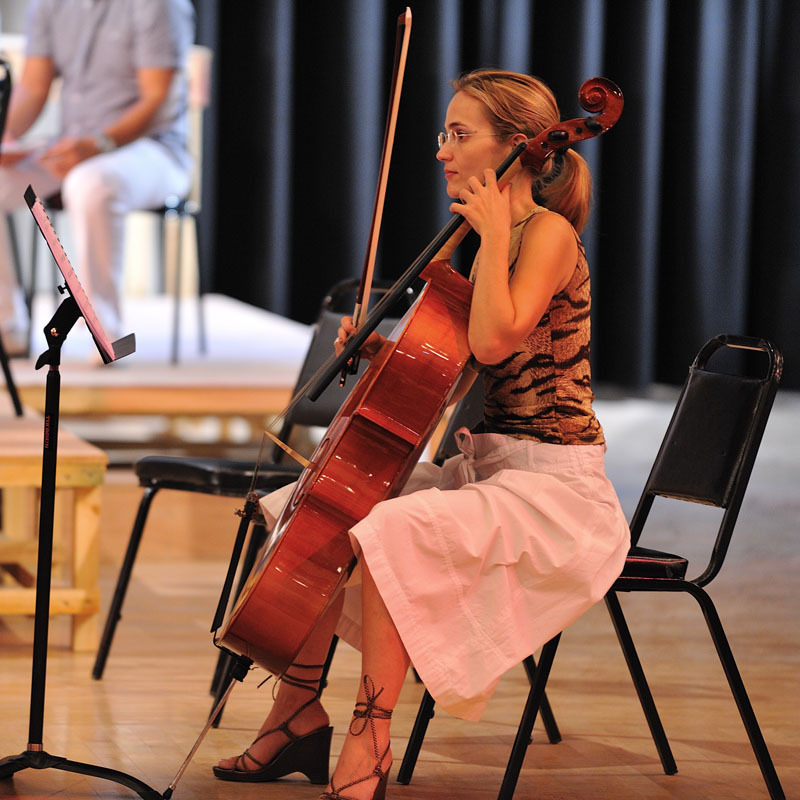 In 2007, I began playing performances as a soloist. 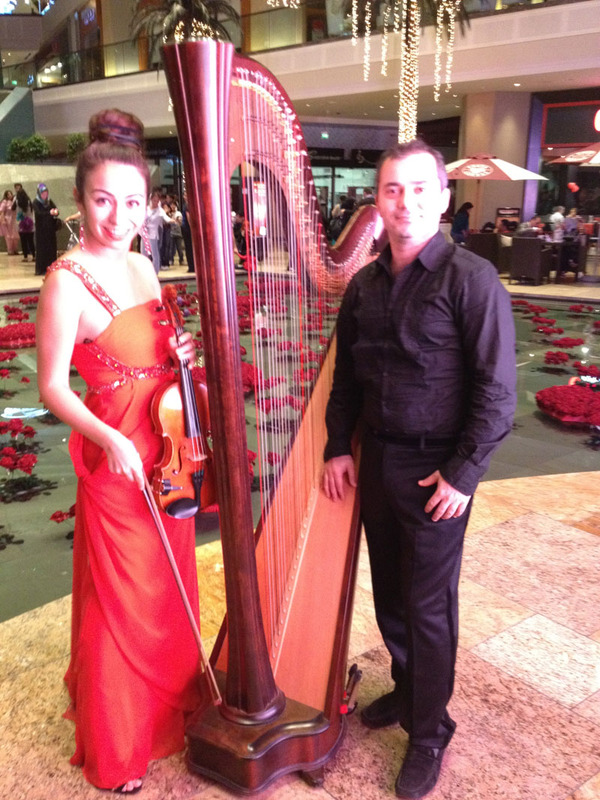 I performed concerts as well as corporate events in various venues across the UAE, and the Gulf area, including concert halls, art galleries, and exhibitions. 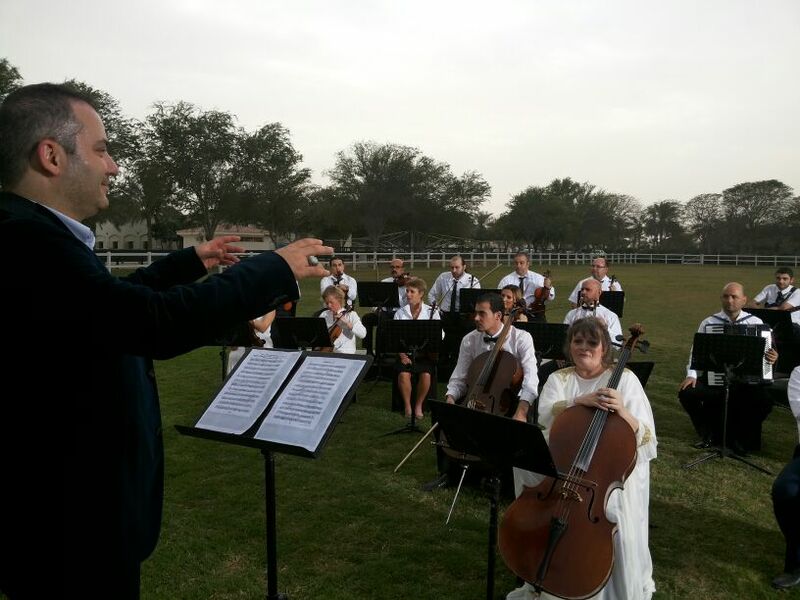 While I rehearsed and performed with various chambers and orchestras, I continued to teach violin in the UAE. 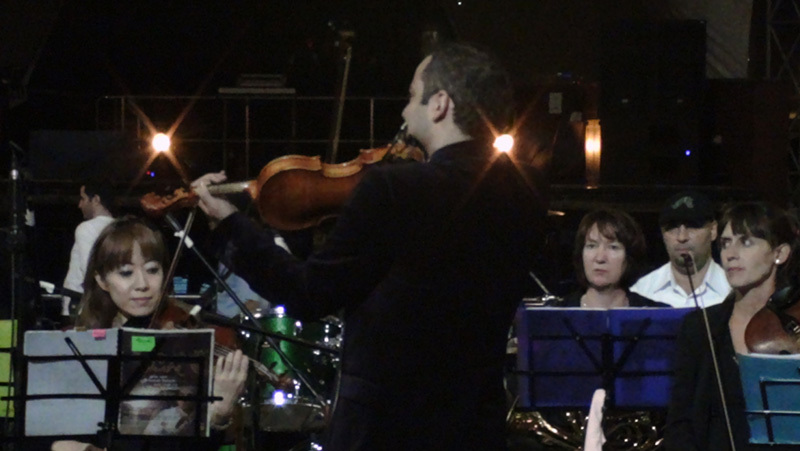 I taught at various music schools and private schools, including: the Popular Music Institute; the Centre for Musical Arts; King’s School; and the Repton School. 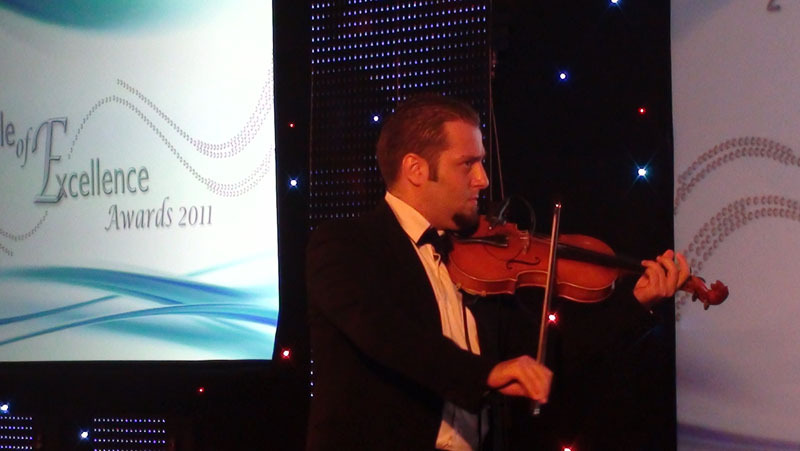 Since 2011, I have taught violin and served as head of the strings department at Brighton College Abu Dhabi. 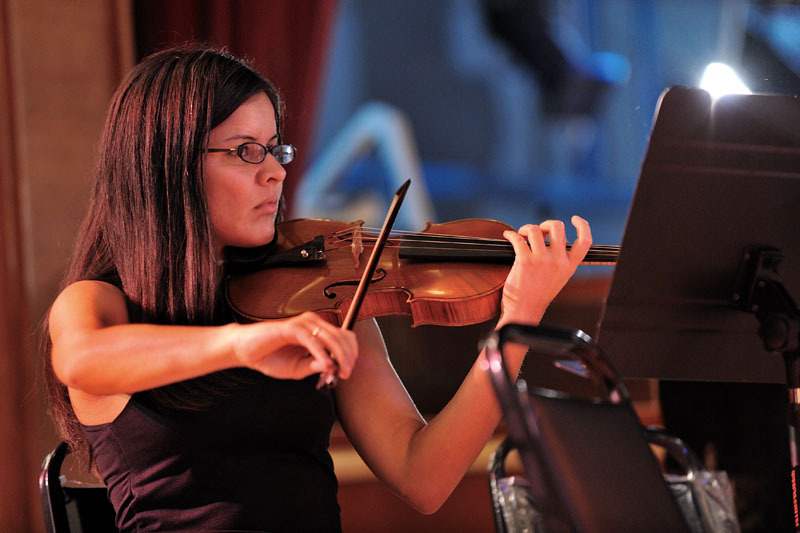 I have enjoyed teaching, but my passion is musical arrangement, conducting, and performance. 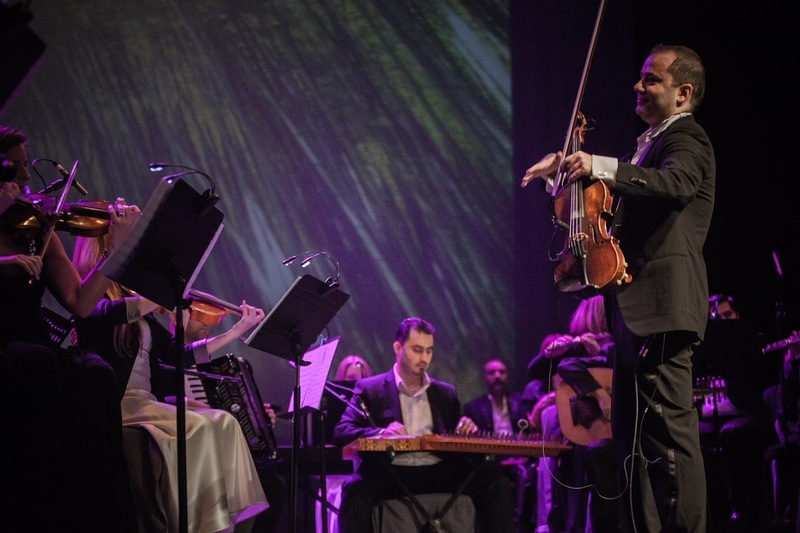 I decided that I wanted to assemble a new type of orchestra: a full Western-style symphony orchestra which plays traditional Arabic music. 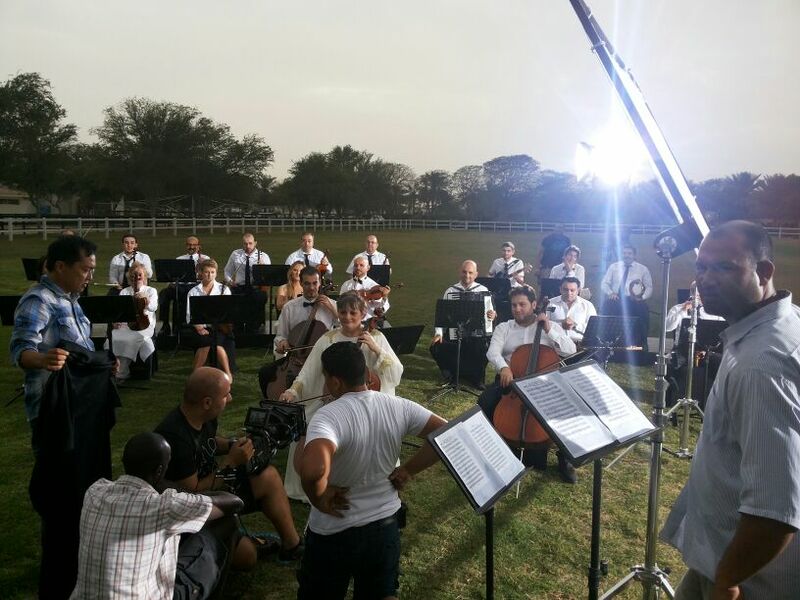 Because I have valued my rich cross-cultural of learning and playing with musicians from across the globe, I wanted to assemble my orchestra the same way, with a group of international musicians from various cultural and educational backgrounds who each bring their unique techniques, flavors, and artistry to the ensemble. 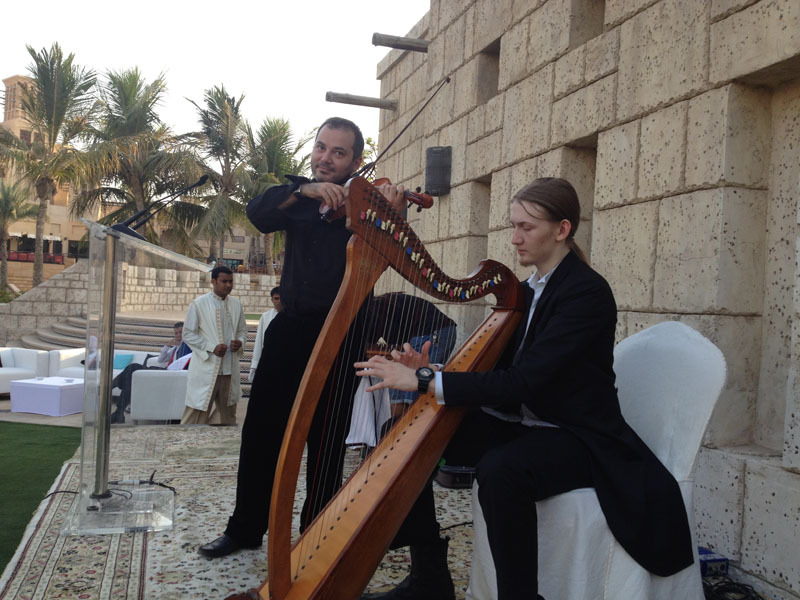 In 2008, I created the SharQ Orchestra. 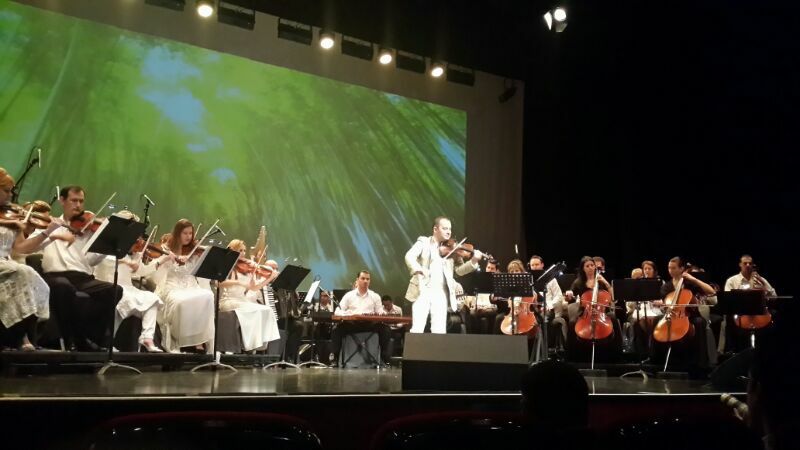 My vision was to perform traditional Arabic music with a full symphony orchestra. 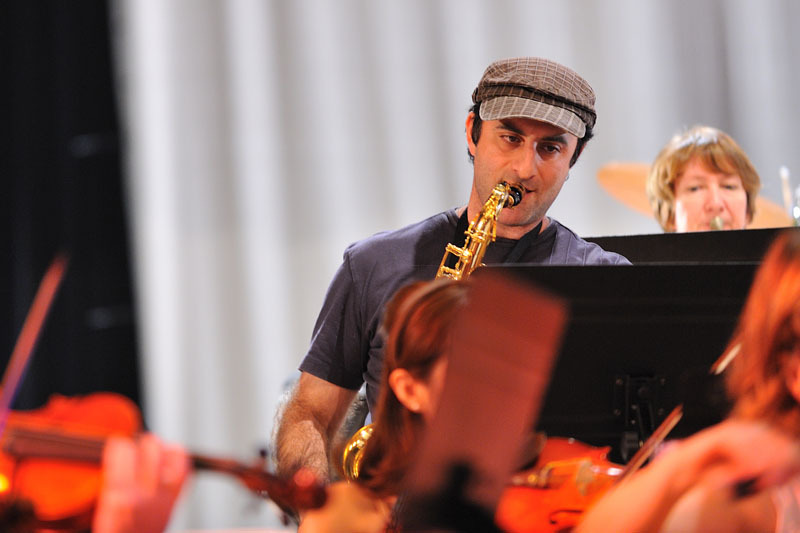 As an ensemble musician, solo musician, director, and composer, I have enjoyed a career of diverse successes. 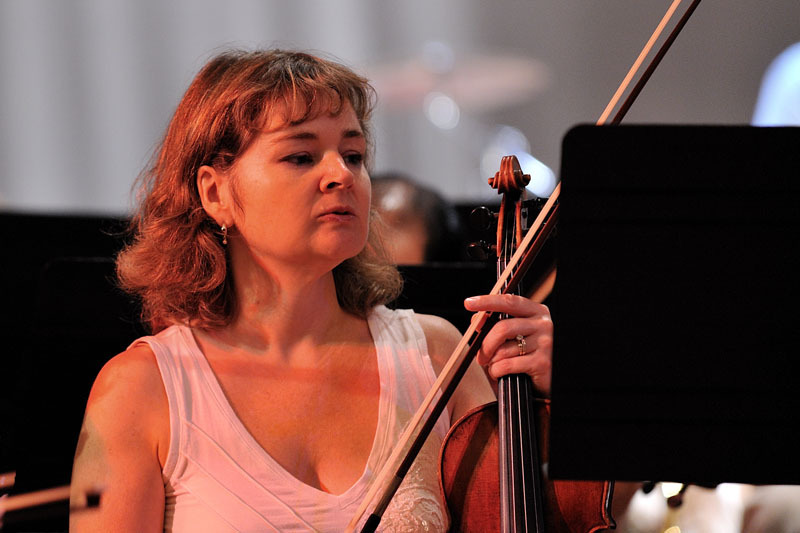 I have performed with over 15 ensembles during my career. 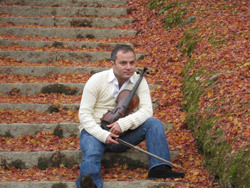 My work has been featured on countless recordings, including for “Teta” Movie among others. I have worked with one of the top producers in the U.K., Kipper Eldridge, who has produced numerous other famous artists, like Sting. 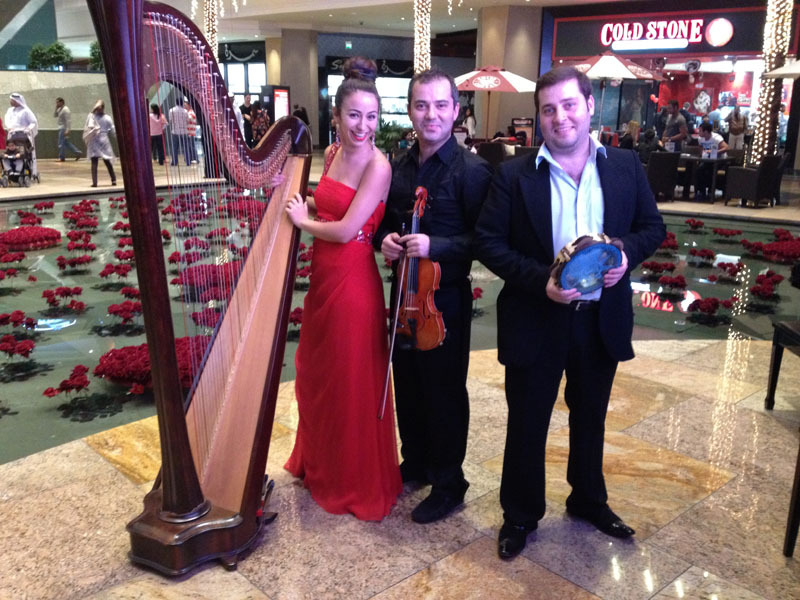 I also worked with Ann Carr-Boyd with Studio 301 in Australia in 2014-2015, to record several inter-cultural collaborations. I strongly believe that through music, citizens of the world can overcome hardship, devastation, and strife, and create peace and harmony. 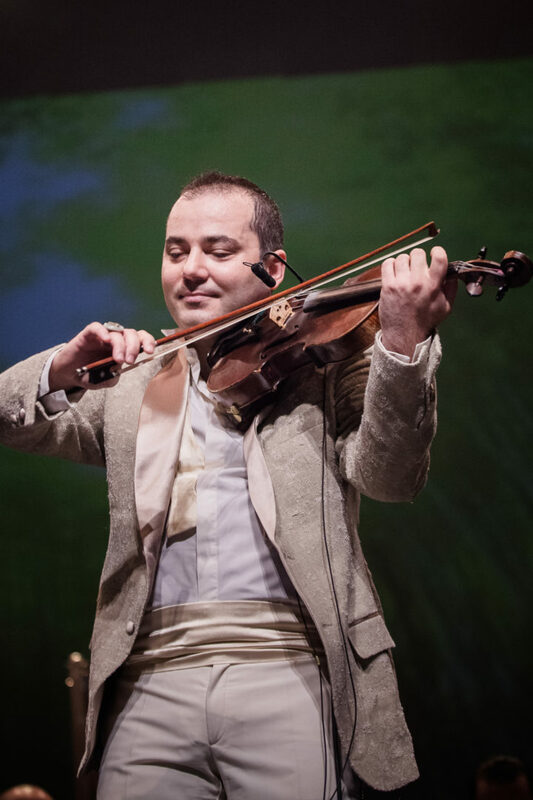 To that end, for many years, I have used my music to promote and benefit international charities, nonprofit organizations, and philanthropic endeavors. 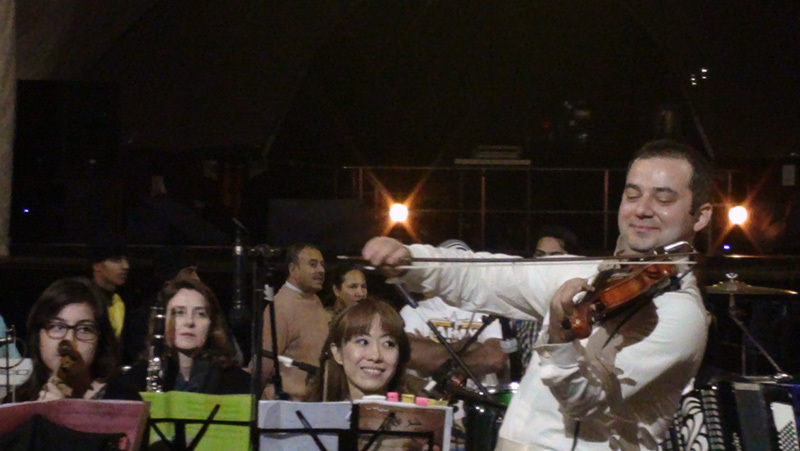 provide eye exams and glasses to Palestinian children, and in 2012, I performed at a charity concert for victims of the Japanese Earthquake and Tsunami. 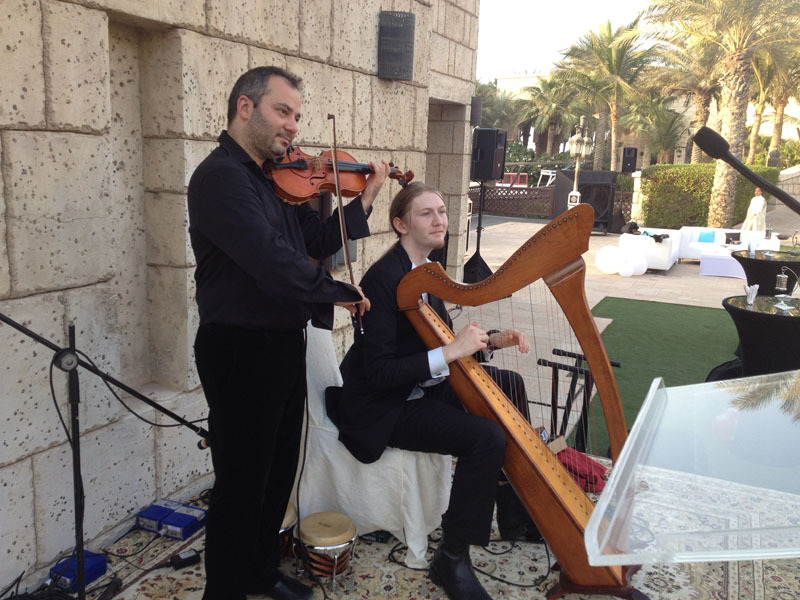 From 2004-2008, I worked with the Dubai Autistic Center on projects to help autistic children react and interact with music. 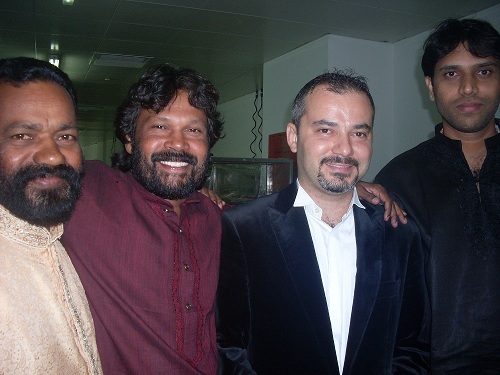 Since 2007, I have served as a regular performer at the Dubai Art and Culture Authority, which is the government authority that supports the Arts in Dubai. 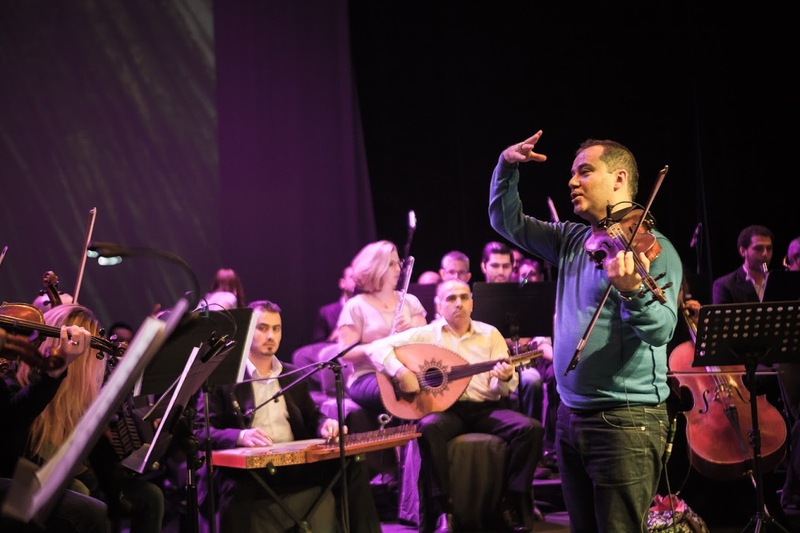 I have also recently gotten involved with Musicians Without Borders, a nonprofit organization based in Amsterdam which strives to use the power of music to bridge divides, connect communities, and heal the wounds of war. 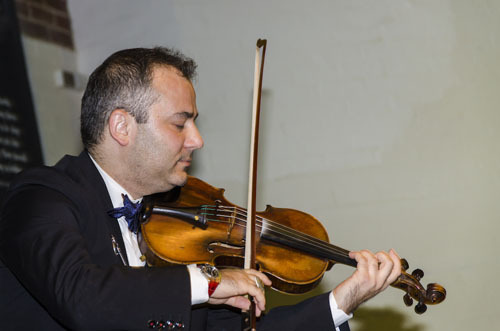 On Sunday 23rd August, residents of the inner north were treated to a magical eveningof music with world class violinist Mohamad Hamami, with all proceeds from ticket sales going to support the work of Melbourne based charity One Girl as part of their 2015 ‘Do it in a Dress’ fundraising campaign. 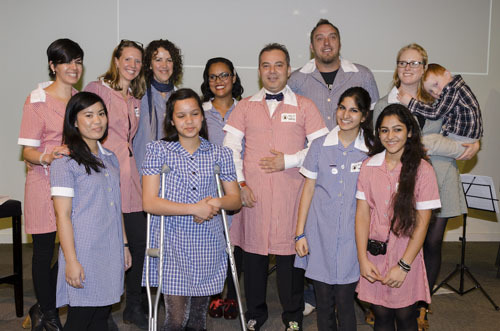 The ‘Do it in a Dress’ campaign involves participants picking any challenge they like and performing it while wearing a dress. It costs around $300 a year to send a girl to school, which covers her tuition, uniform, books and stationary, and scholarships last for the lifetime of a girl’s schooling. 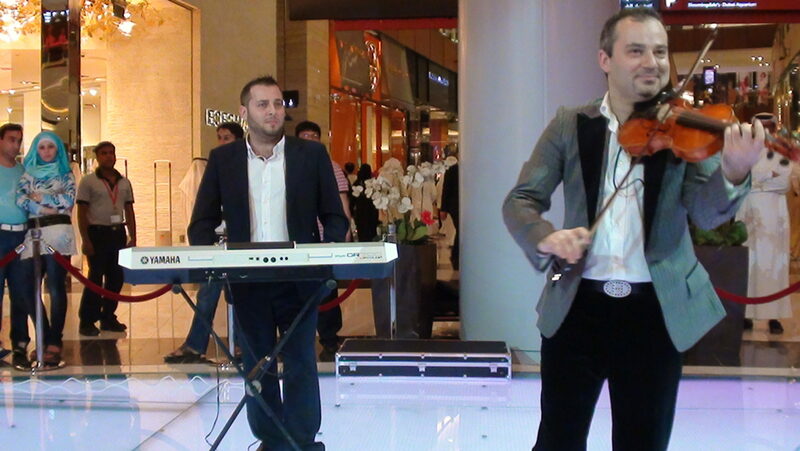 Mohamad was accompanied on stage by musicians from Stringspace,. 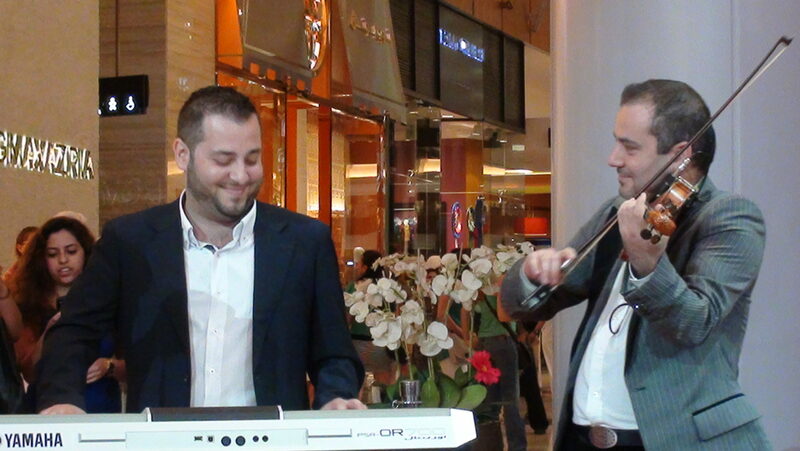 Guests were enthralled by their beautiful playing and captivated by Mohamad’s incredible musical style. The event was held at 75 Reid Street in North Fitzroy and complimentary wine and nibbles were included in the ticket price. This was made possible by generous donations from Brown Brothers Winery, Tassal Tasmanian Salmon and El Colmado, who provided sparkling wine, smoked salmon and Spanish gourmet cheeses. The ambassadors and performers celebrate a successful event and prepare for the next round of fundraising! 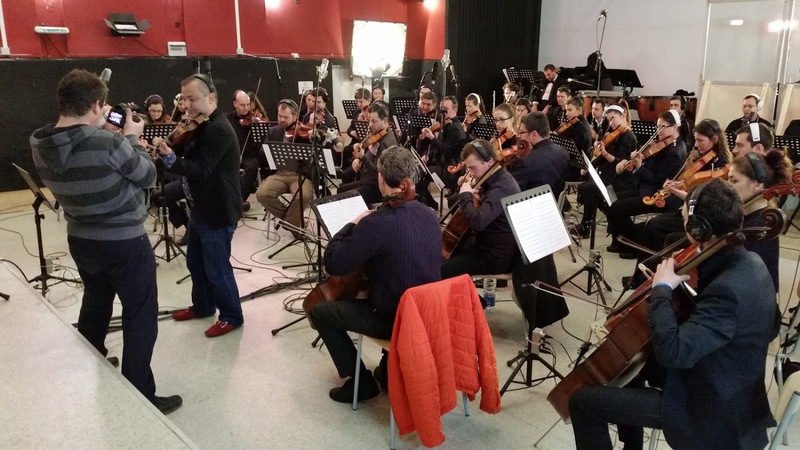 Mohamad was in Sofia for 48 hours over the cold snowy February where he recorded 5 tracks for his upcoming album “World Citizen” with Sofia philharmonic Orchestra in Radio Sofia Studio. 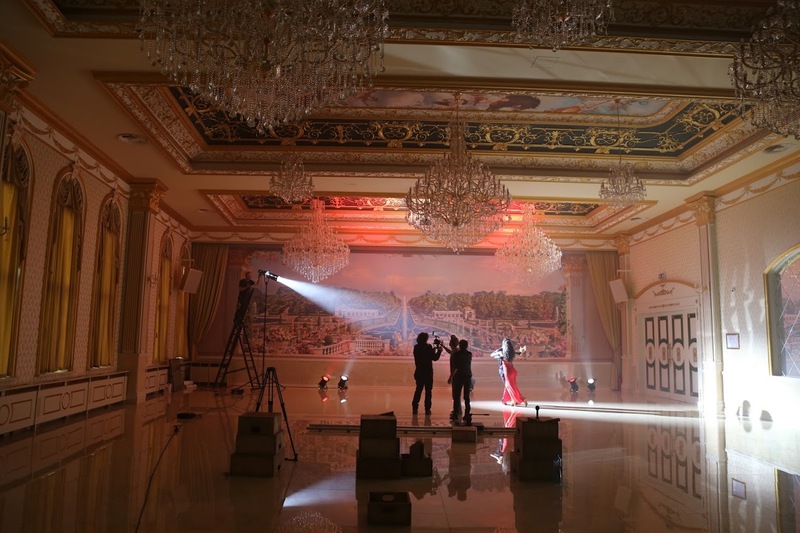 After the studio recording Mohamad headed up to the Luxury Montecito Hotel to work with the Director Ani Stefanova to wrap up filming on his latest music videos. Both videos and Album are planned to be lunched in the spring of 2016; the Album comes in Volume I first, and total of 12 tracks. 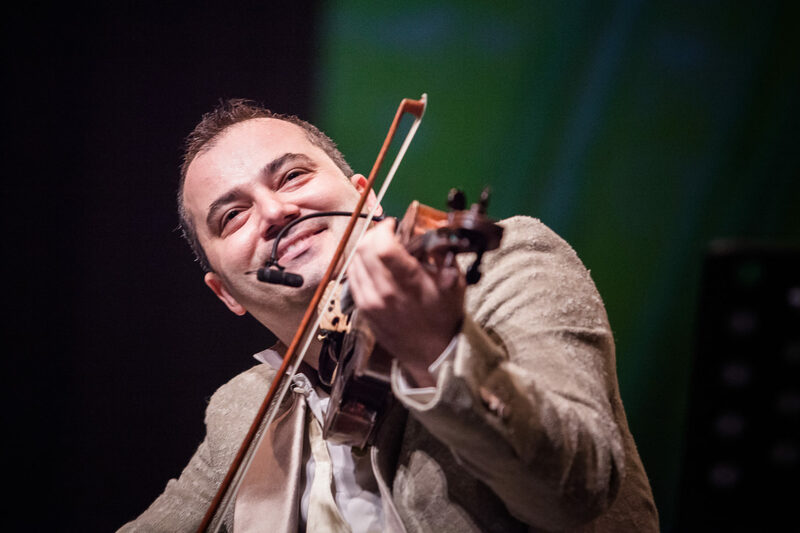 A new musical journey that Mohamad started few years ago, touring and exploring the WORLD OF MUSIC in different parts of the world, from far East to the Americas, meeting with different composers and introduced to other music genres, some of the new tracks were composed for him exclusively. More News to come … stay tunned. 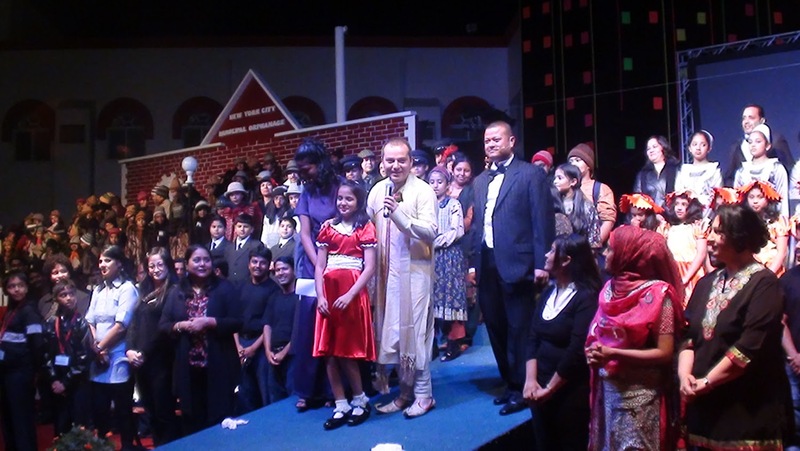 It was a proud moment for ‘The Kindergarten Starters at Dubai’ as it hosted the 20th Inter-Junior School Musical Festival on Friday, 14th of December, 2012. 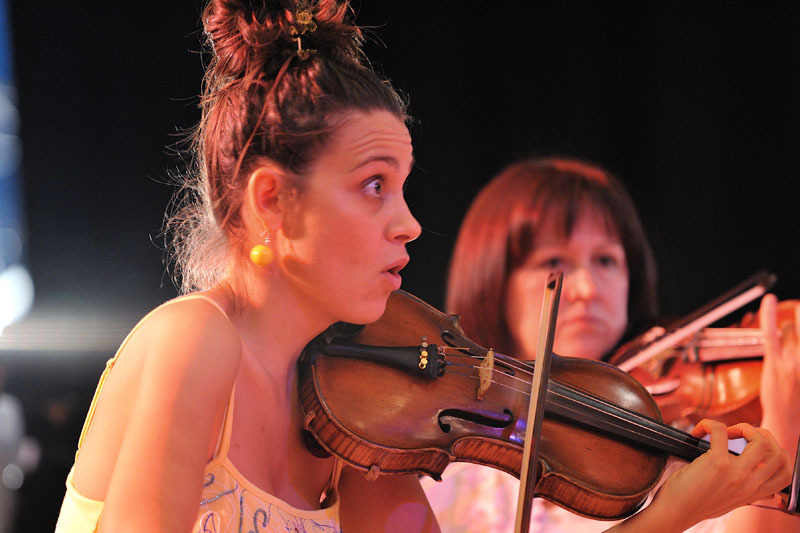 The theme for this year’s Music Festival being ‘Broadway Glitz’, the young and enthusiastic troupes left no stone unturned to live up to the expectations required of Broadway performers. 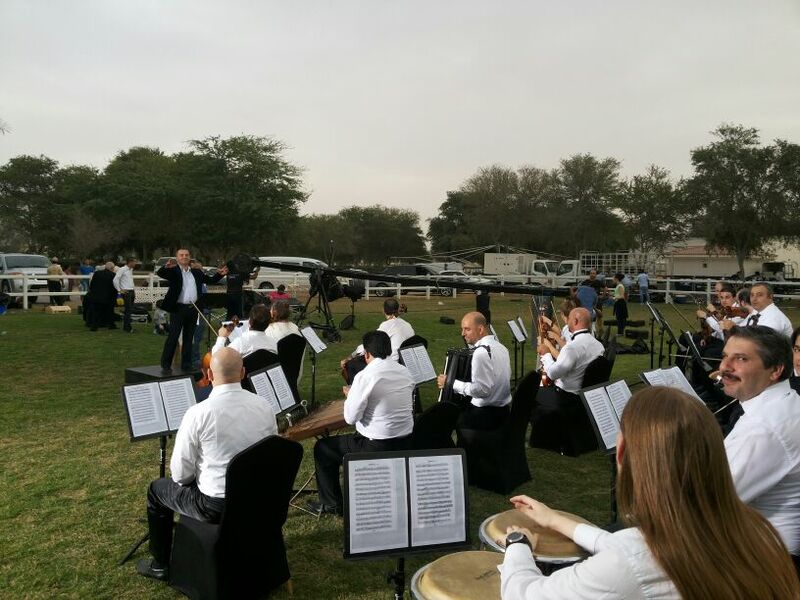 Several Schools from different emirates participated in this prestigious event, the only one of its kind in Dubai. The Principal and CEO, Mrs. Asha Alexander welcomed the gathering. The Chief Guest Ms. Kajari Biswas, Consul Press, Information and Culture, presided over the function and appreciated the vocal skills of the performers, their poise and confidence in their creative expressions of choral music. 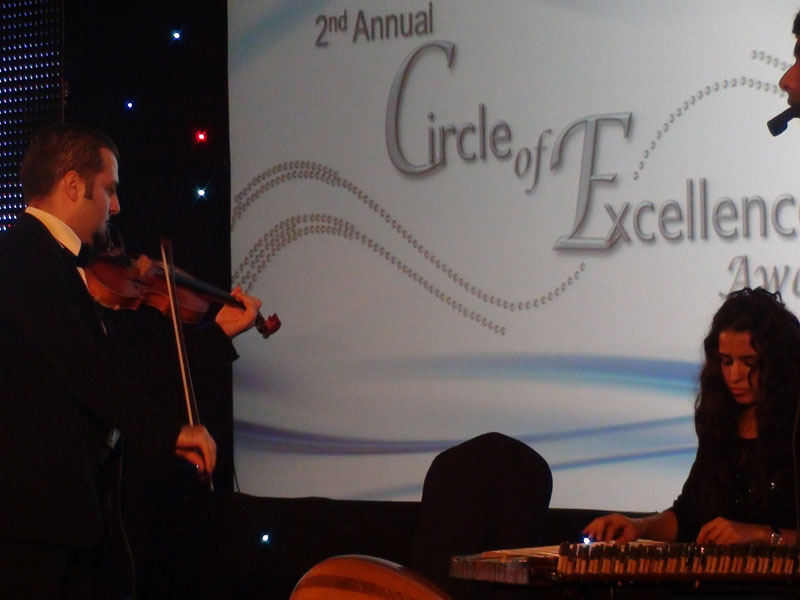 The performers showed immense musical aptitude under the guidance of their music teachers and demonstrated synchronized performances. The little stars with their majestic costumes against the grand Broadway backdrop added the extra sparkle to the event. 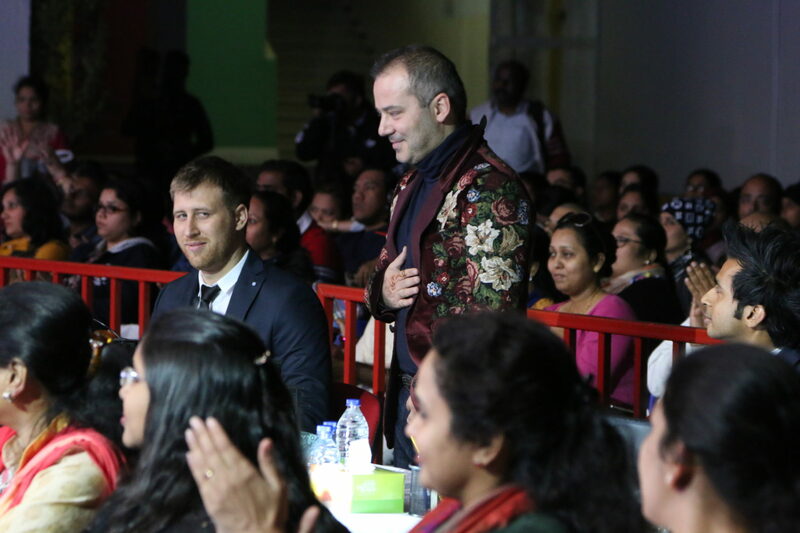 The whole atmosphere was reverberating with foot tapping musical hits such as the Lion King, Cats, Mamma Mia, Tarzan, the Wizard of Oz, Aladdin, Chitti Chitti Bang Bang and others. 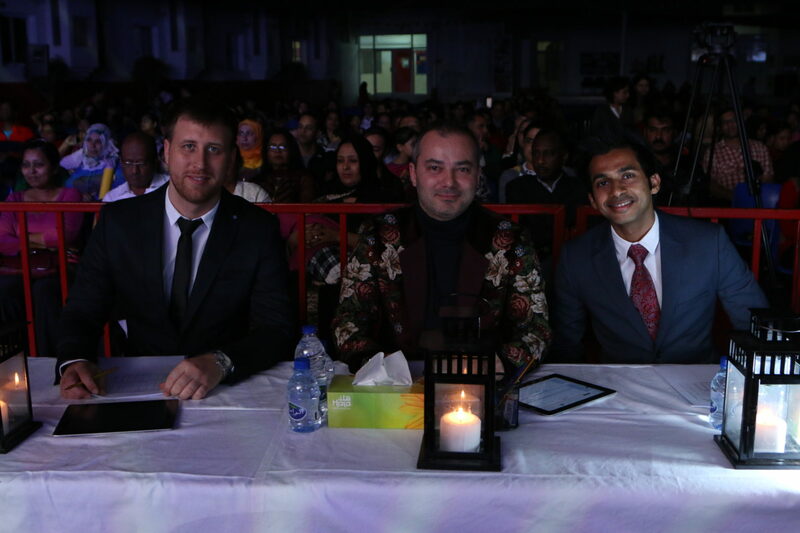 The judges, Mr. Hamami, Ms. Edward and Ms. Katovich had a trying time deciding the winners. The highlight of the evening was a peek preview of the Broadway Musical adaptation ‘Annie’ which will be staged in the KGS campus on 17th and 18th of December, a unique KGS production. 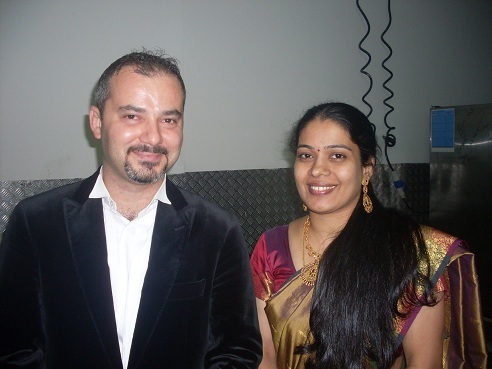 The chief judge, Mr. Hamami, felicitated the Music teachers of all the participating schools. The Chief Guest, Mrs. Biswas announced the eagerly awaited results. The Millenium School, Dubai, bagged the Rolling trophy and the GEMS Our Own English High School, Al Warqa (Girls) the Runners Up Trophy. They truly deserved the awards for their astounding musical renditions. The music festival concluded with the musical melodies still ringing in the ears and with the enthralled audience wanting more! 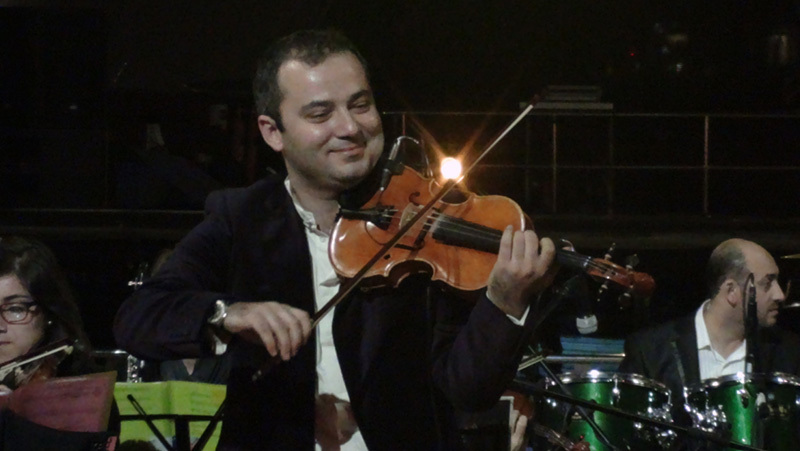 MH became member with the “Musicians without Borders” and visited their home in Amsterdam 1-October 2015. 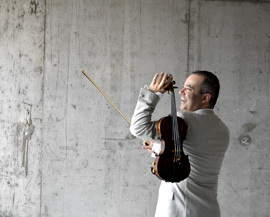 Welcome to Mohamad Hamami website! Mohamad Hamami provides its services to you subject to the following conditions. The terms of services are effective upon acceptance. Use of any functionality of the website constitutes acceptance of the terms of services. If the terms of services conflict with any other documents, the terms of services will control for the purposes of usage of the website. You may only use certain portions of the website if you are a Select registered visitor. 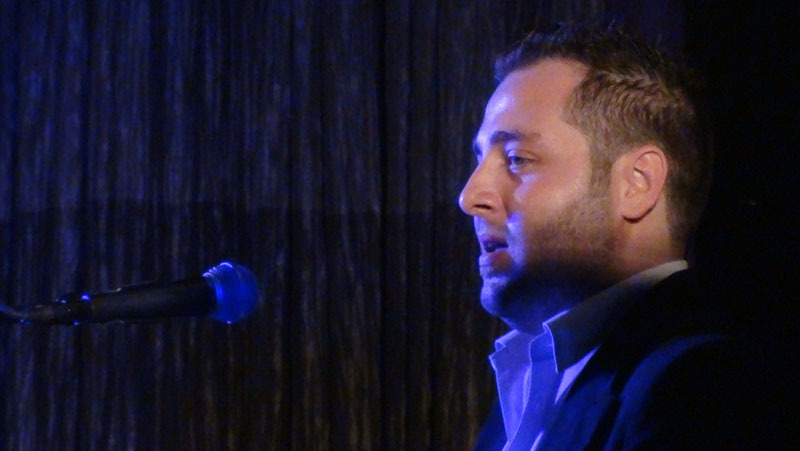 In the website, Mohamad Hamami provides users with access to sales of Home Maintenance packages services online. The user is responsible for obtaining access to the website, and that access may involve third-party fees (such as internet service provider or airtime charges). In addition, you must provide and are responsible for all equipment necessary to access the site. Mohamad Hamami L.L.C owns this website. In consideration of your use of the website, you represent that you are of legal age to form a binding contract and are not a person barred from receiving services under the laws of the United Arab Emirates or other applicable jurisdiction. You also agree to provide true, accurate, current and complete information about yourself as prompted by the website’s registration form. If you provide any information that is untrue, inaccurate, not current or incomplete (or becomes untrue, inaccurate, not current or incomplete), or Mohamad Hamami has reasonable grounds to suspect that such information is untrue, inaccurate, not current or incomplete, Mohamad Hamami has the right to suspend or terminate your account and refuse any and all current or future use of the Site (or any portion thereof). If you use the website, you are responsible for maintaining the confidentiality of your account and password, and for restricting access to your computer. You agree to accept responsibility for all activities that occur under your account or password. Because of this, we strongly recommend that you exit from your account at the end of each session. You agree to notify Mohamad Hamami immediately of any unauthorized use of your account or any other breach of security. Mohamad Hamami reserves the right to refuse service, terminate accounts, or remove or edit content in its sole discretion. Mohamad Hamami grants you a non-exclusive, non-transferable, limited license to access and make use of the contents or information available on the website for your personal use and not to download or modify it, or any portion of it, except with the express written consent of Mohamad Hamami. You may not reproduce, duplicate, adapt, copy, sell, resell, transmit or otherwise exploit for any commercial purpose this Website or any portion of this Website without the express written consent of Mohamad Hamami. Mohamad Hamami authorizes you to view and download the information and materials available on this website only for your personal, non-commercial use. This authorization shall not constitute a transfer of title in and to the materials and is subject to the following restrictions: (a) you must retain, on all copies of the materials downloaded, all copyright and other proprietary notices contained in the materials; (b) you may not modify the materials in any way or reproduce or publicly display, perform, or distribute or otherwise use them for any public or commercial purpose; and (c) you must not transfer the materials to any other person unless you give them notice of, and they agree to accept, the obligations arising under these terms and conditions. When you use the website or send emails to Mohamad Hamami, you are communicating with Mohamad Hamami electronically. You consent to receive communications from Mohamad Hamami electronically. 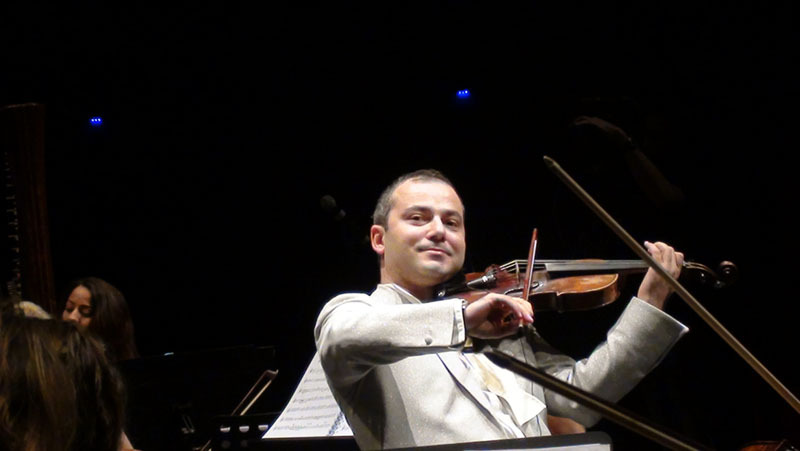 Mohamad Hamami will communicate with you by email or by posting notices on the website. You agree that all agreements, notices, disclosures and other communications that we provide to you electronically satisfy any legal requirement that such communications be in writing. All content, products, and services on the website, or obtained from a website to which the website is linked (a “linked website”) are provided to you “as is” without warranty of any kind either express or implied including, but not limited to, the implied warranties of merchantability and fitness for a particular purpose, title, non-infringement, security or accuracy. Mohamad Hamami does not endorse and is not responsible for (a) the accuracy or reliability of any opinion, advice or statement made through the website by any party other than Mohamad Hamami, (b) any content provided on linked websites or (c) the capabilities or reliability of any product or service obtained from a linked website. Other than as required under applicable consumer protection law, under no circumstance will Mohamad Hamami be liable for any loss or damage caused by a user’s reliance on information obtained through the website or a linked website, or user’s reliance on any product or service obtained from a linked website. It is the responsibility of the user to evaluate the accuracy, completeness or usefulness of any opinion, advice or other content available through the website, or obtained from a linked website. Please seek the advice of professionals, as appropriate, regarding the evaluation of any specific opinion, advice, product, service, or other content. 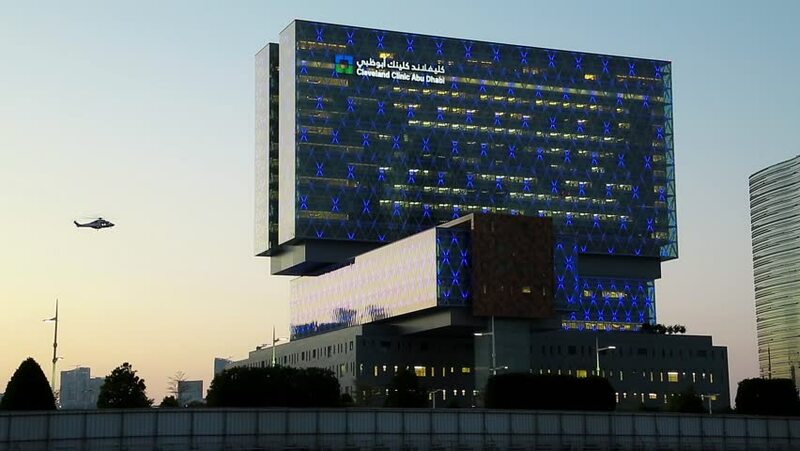 You expressly understand and agree that Mohamad Hamami and its subsidiaries, affiliates, officers, employees, agents, partners and licensors shall not be liable to you for any direct, indirect, incidental, special, consequential or exemplary damages, including, but not limited to, damages for loss of profits, goodwill, use, data or other intangible losses (even if Mohamad Hamami has been advised of the possibility of such damages), resulting from use of the website, content or any related services. You agree to indemnify and hold Mohamad Hamami (and its officers, directors, agents, subsidiaries, joint ventures, and employees) harmless from any claim or demand, including reasonable attorneys’ fees, or arising out of or related to your breach of the terms of services, or your violation of any law or the rights of a third party. You agree to pay the full price for all products/services you purchase from the website. You are responsible for the timely payment of all fees and for providing us with a valid credit card for payment of all fees. Use of this website shall in all respects be governed by the laws of UAE regardless of the laws that might be applicable under principles of conflicts of law. 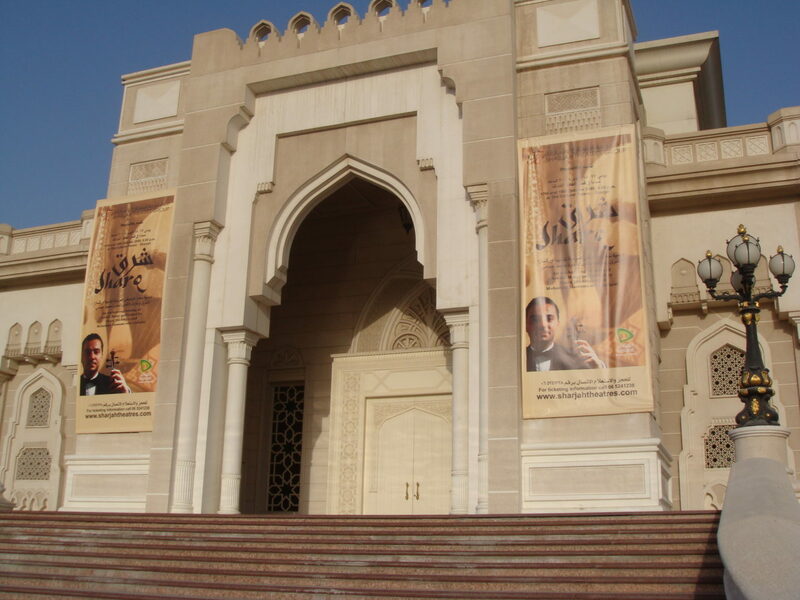 The parties agree that the courts located in UAE, shall have exclusive jurisdiction over all controversies arising under this agreement and agree that venue is proper in those courts. My name is Mohamad Hamami. 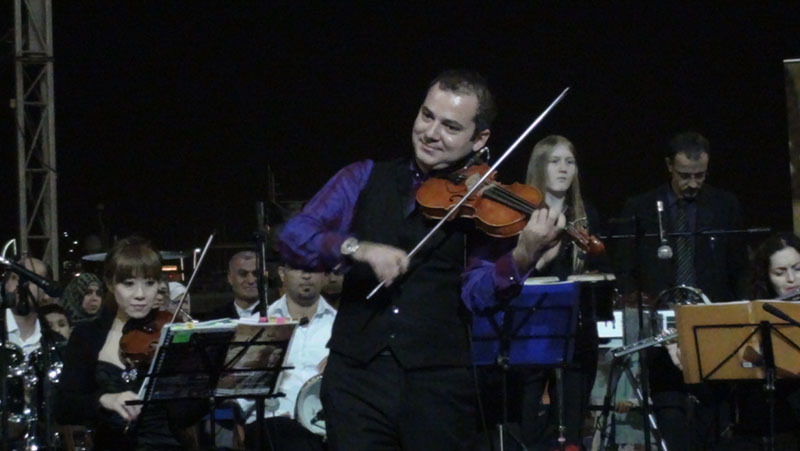 I am a renowned, classically trained violinist, and addition to performing as a soloist and member of numerous ensembles, I also teach strings, compose original music, arrange and produce orchestral scores for never-before-written Arabic songs, and direct my own 80 person SharQ orchestra. 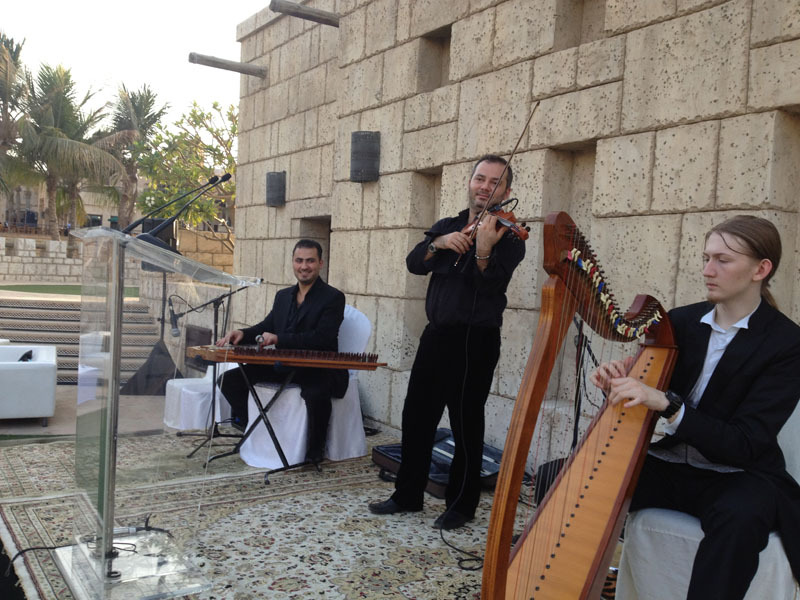 I have performed at some of the top venues in the United Arab Emirates and the Middle East, including Qartaj in Tunisia, Opera House Egypt, Opera House Damascus, Unisco Lebanon, Madinat Jumeirah Dubai, Emirates Palace Abu Dhabi, Music Festival Algeria, among others. 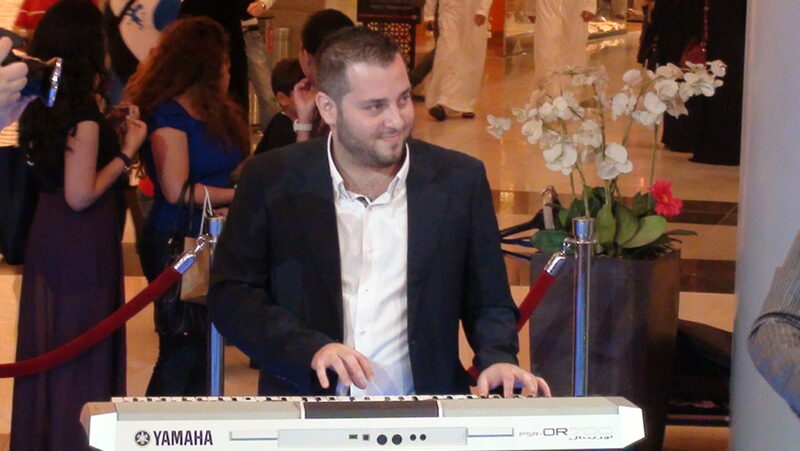 I have also recorded my own solo album, which is sold widely in record stores in the Middle East and on iTunes. My album, In Paradise, is featured on Air Emirates flights around the world. 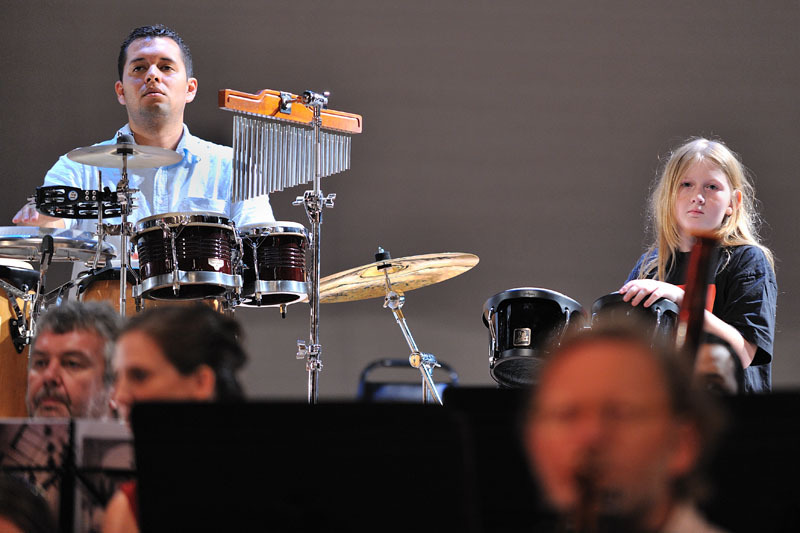 As an ensemble musician, solo musician, director, and composer, I have enjoyed a career of diverse successes. 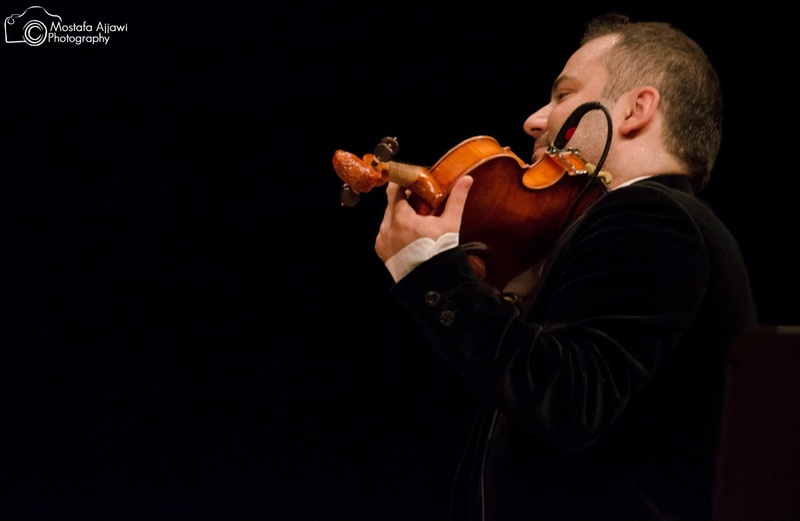 I have performed with over 15 ensembles during my career. 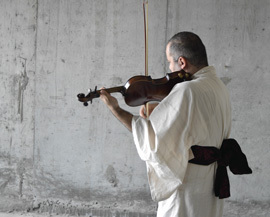 My work has been featured on countless recordings, including for "Teta" Movie among others. I have worked with one of the top producers in the U.K., Kipper Eldridge, who has produced numerous other famous artists, like Sting. 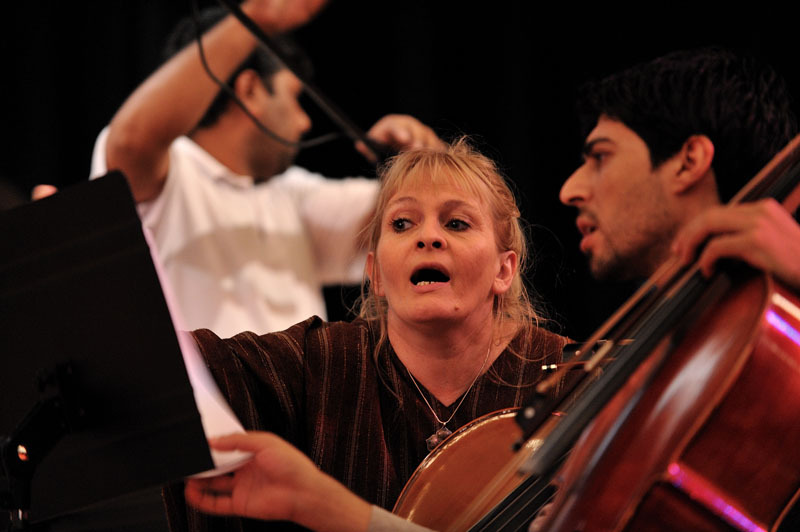 I also worked with Ann Carr-Boyd with Studio 301 in Australia in 2014-2015, to record several inter-cultural collaborations. 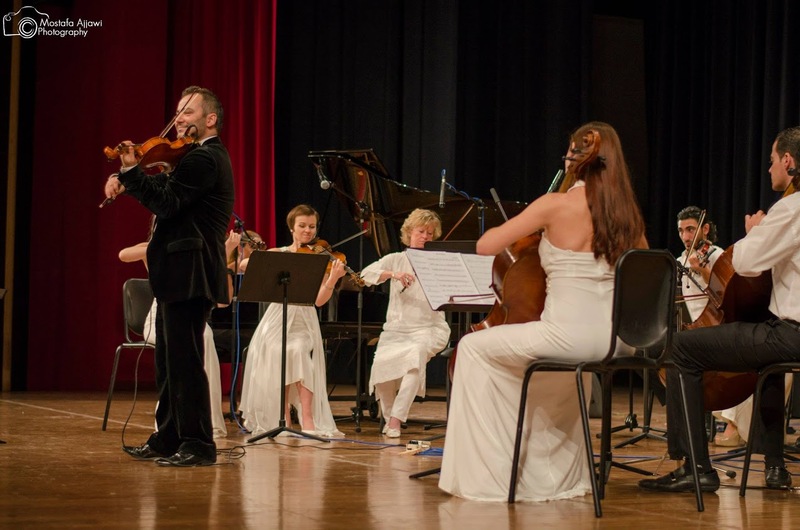 For example, in 2010, I performed at a charity event for Ayouni, an organization that helps provide eye exams and glasses to Palestinian children, and in 2012, I performed at a charity concert for victims of the Japanese Earthquake and Tsunami. 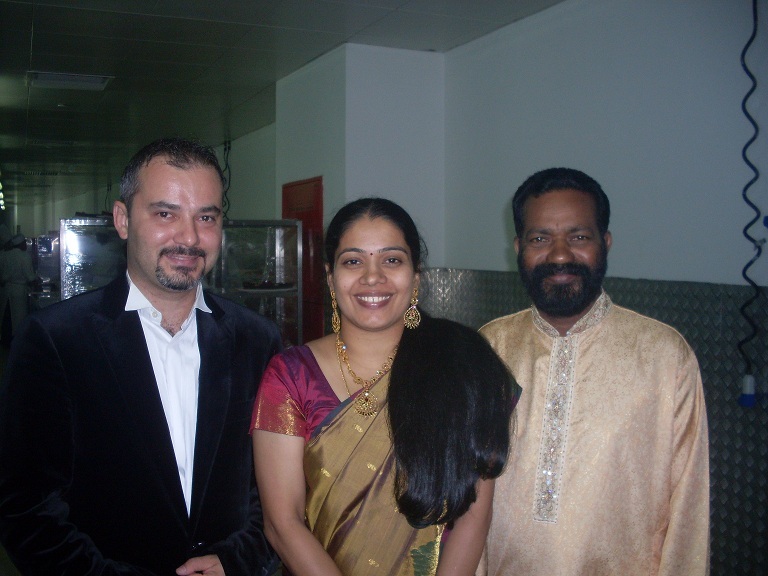 From 2004-2008, I worked with the Dubai Autistic Center on projects to help autistic children react and interact with music. 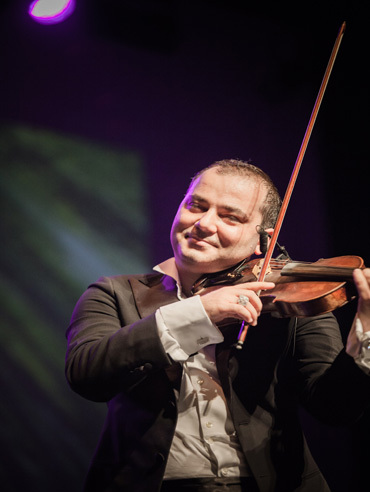 Since 2007, I have served as a regular performer at the Dubai Art and Culture Authority, which is the government authority that supports the Arts in Dubai.